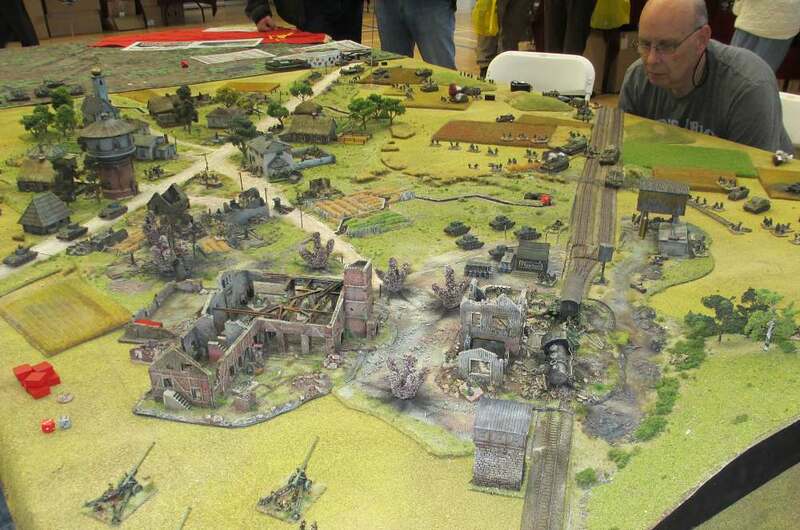 Last night I pitched my WW2 Free French against Scott Bowman’s Germans in a 600+ point game of Bolt Action. 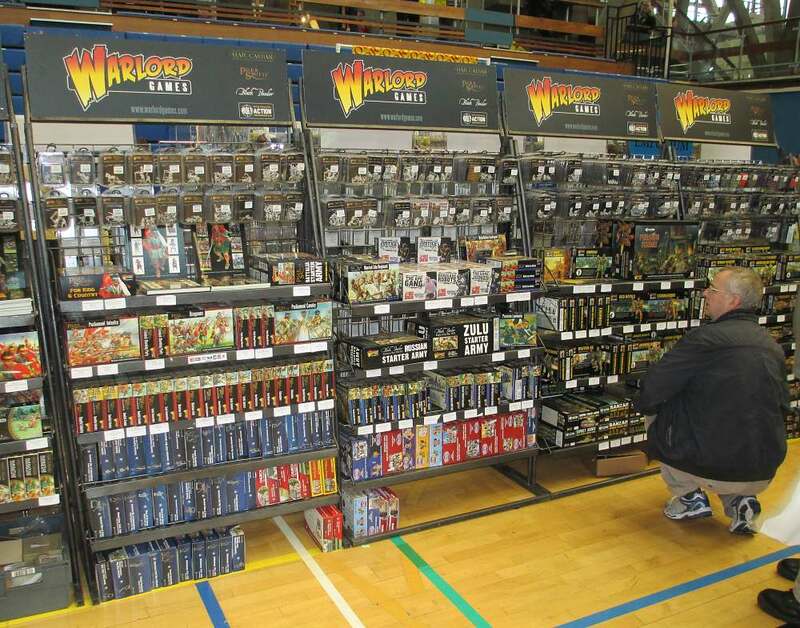 Scott, of course, is famous as being the owner of the Hobby Corner – probably the only pharmacy in the world that stocks wargaming models and paints! The above mid-game shot shows Scott in action, closely watched by his son. 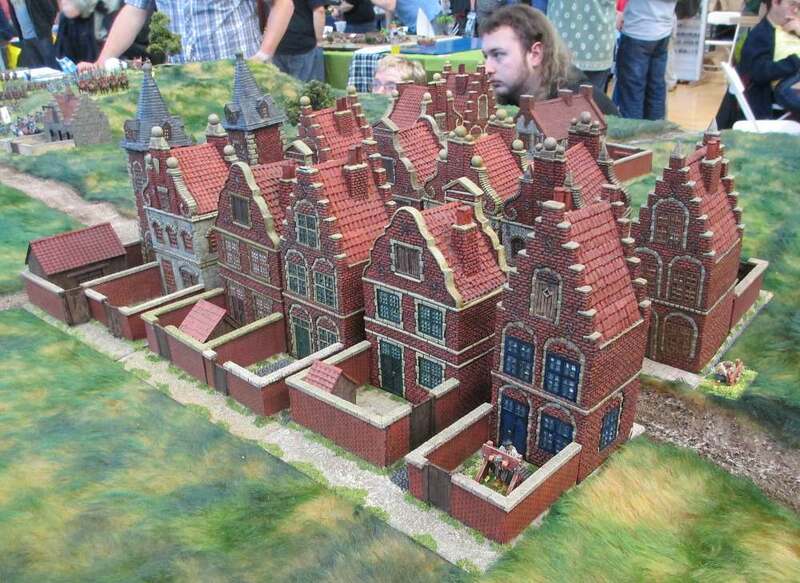 As you can see, he has a large wargames room with three tables. He’s now even adding two more tables in the adjacent garage. A great venue for gaming nights! 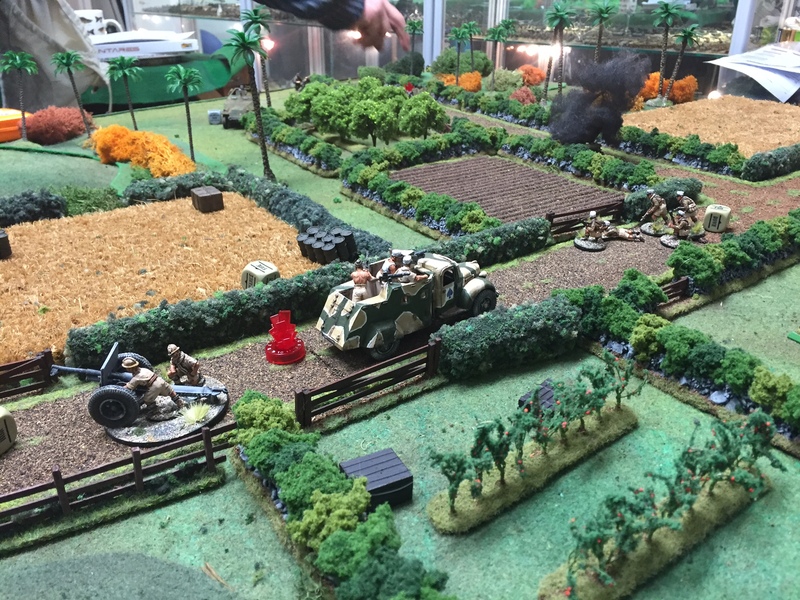 My objective for the game was to hang onto the cornfield and the adjacent piece of road situated in the middle of the table. We delineated the actual objective area with some miscellaneous crates and oil-drums. Scott’s objective, of course, was to seize this area. 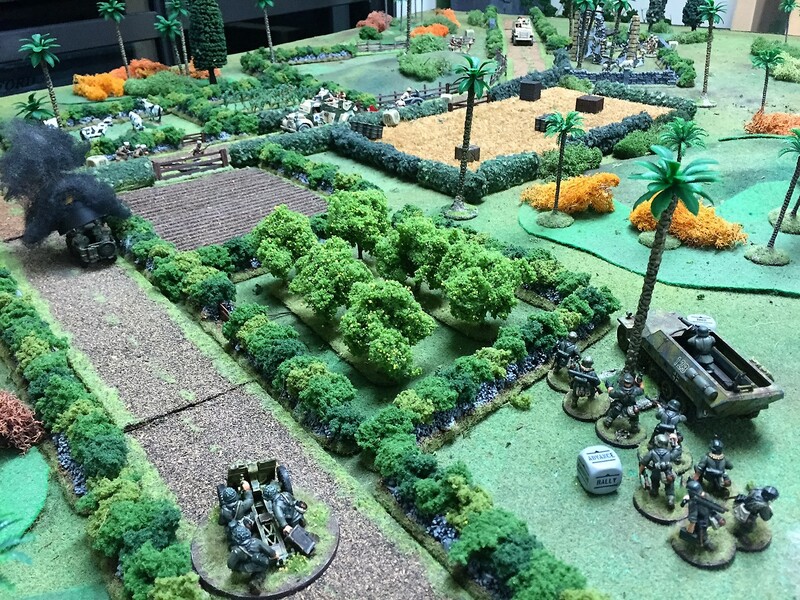 Before the game started, I was allowed to emplace two units on the objective – I chose a Foreign Legion infantry unit and a 75mm howitzer (you can just see the latter in the distance in the above picture). 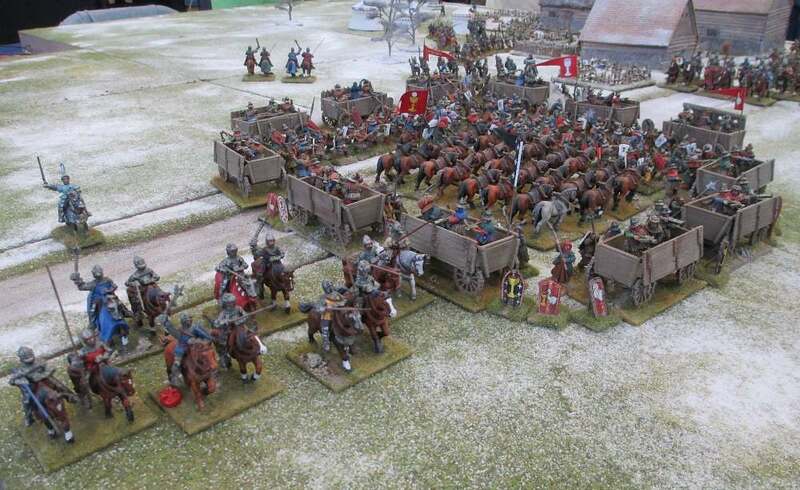 I would then bring the remainder of my forces onto the table as reinforcements over the next two turns. My first reinforcement to arrive was this Dodge Tanake truck, which careered in to take hold of the crossroads on the right flank. 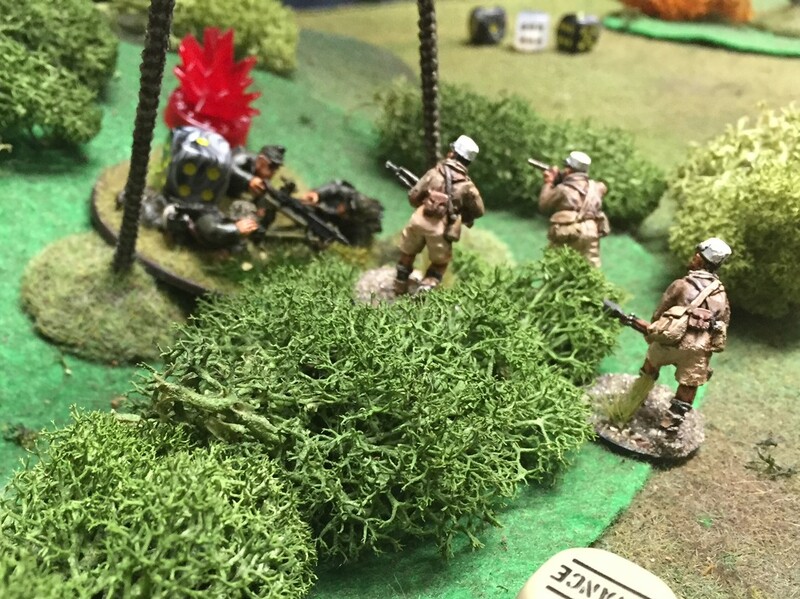 As it screeched to a stop, the Tanake’s gunners spotted a German sniper team hidden in the undergrowth, and let fly – no more sniper team! 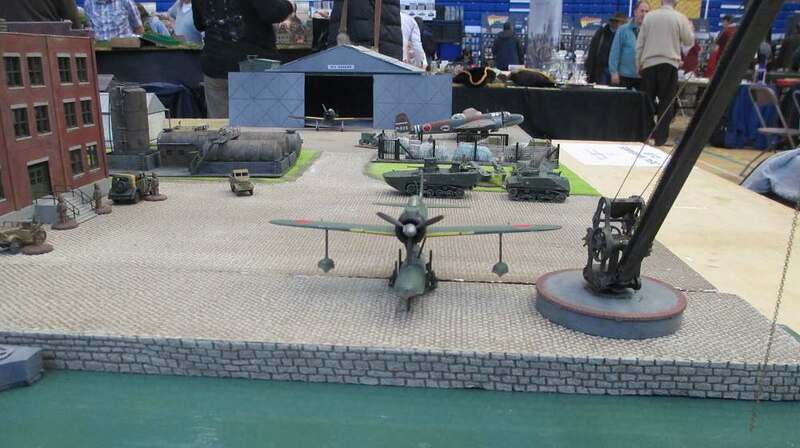 Unfortunately they couldn’t also hit a nearby forward mortar observer, which was to prove disastrous later in the game. 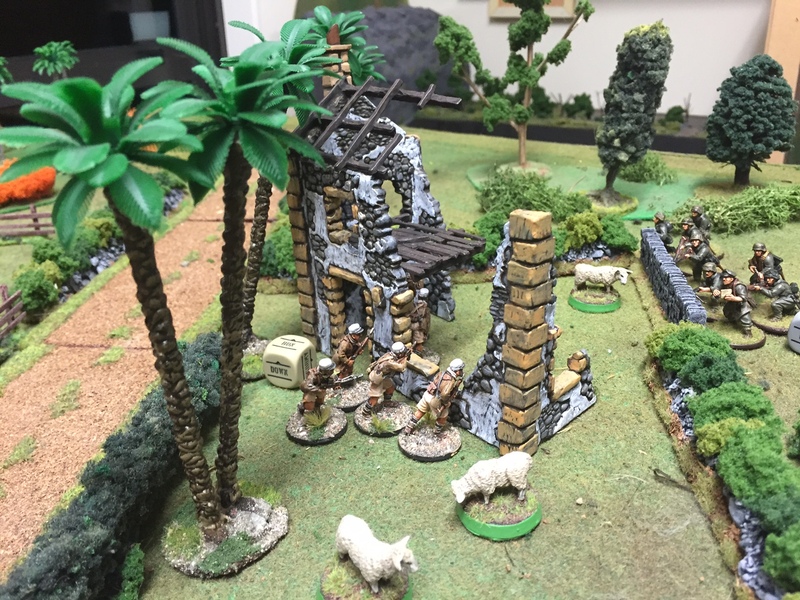 At the other end of the table, my white-capped Foreign Legionnaires rushed from the objective area, scattering livestock as they raced the Germans to be the first to occupy a ruined building that could otherwise have threatened the French left flank. 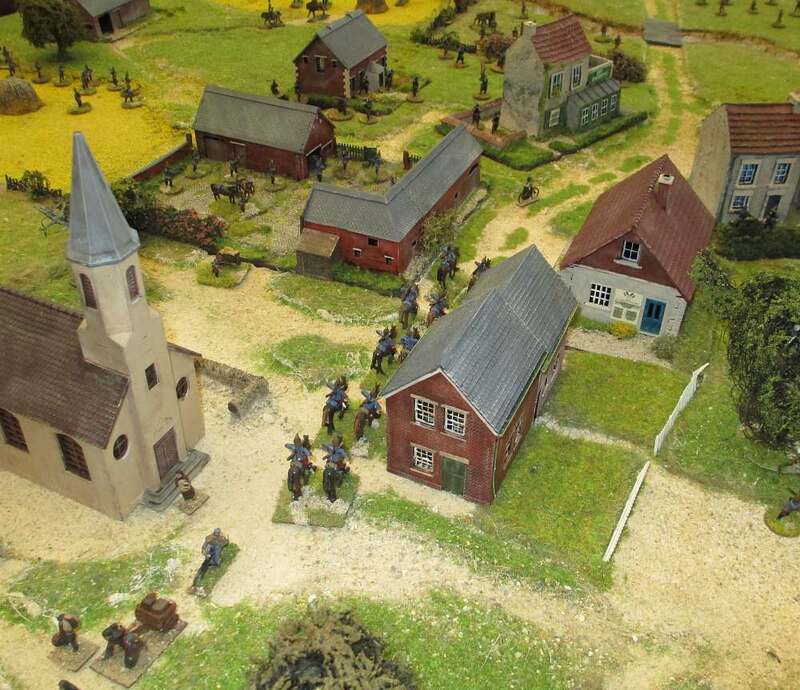 Having taken the ruined building and survived the German unit’s return fire, in the next turn the Legionnaires launched an all-out charge against their enemy. 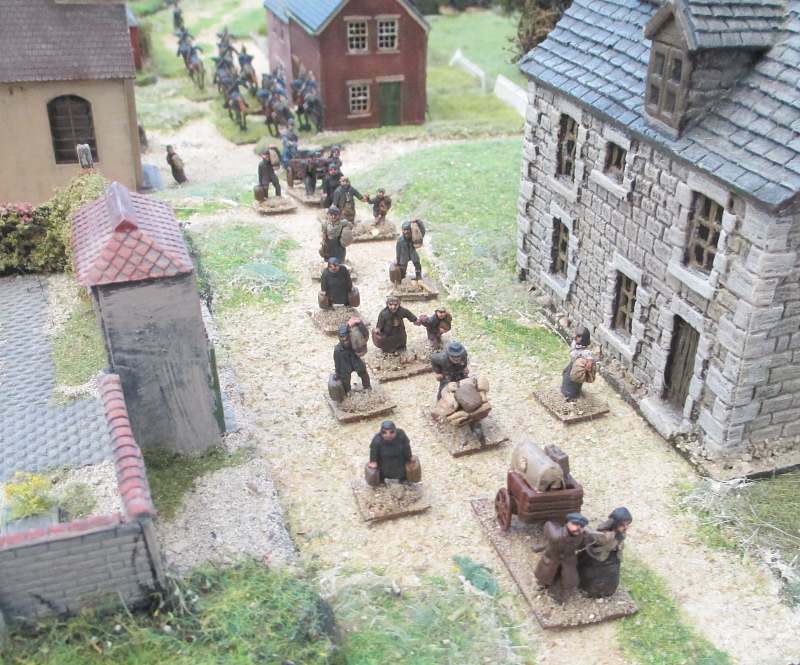 Luck favoured the bold, and the German unit was eliminated after two rounds of vicious fighting – though in doing so the brave Legionnaires lost half their number. 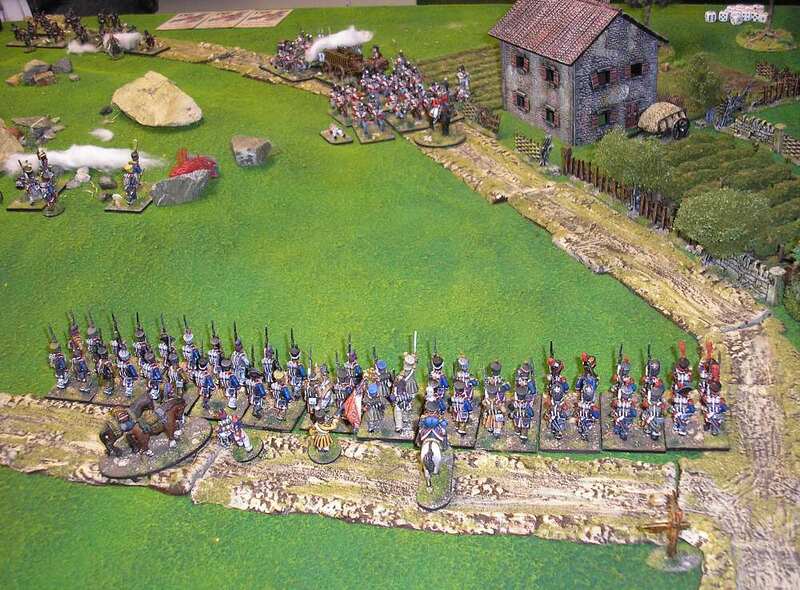 Meanwhile, back at the crossroads on the French right flank the action was also hotting up. 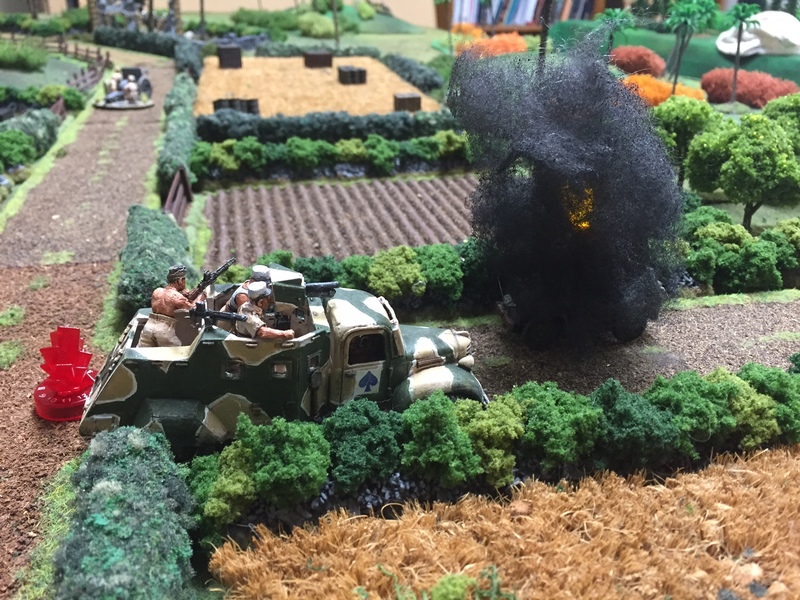 A German command car (a captured Jeep) had rushed up the road to threaten another unit of Legionnaires who had just arrived as my second reinforcements. But it was a move too far for the Jeep, which was quickly hit and destroyed. 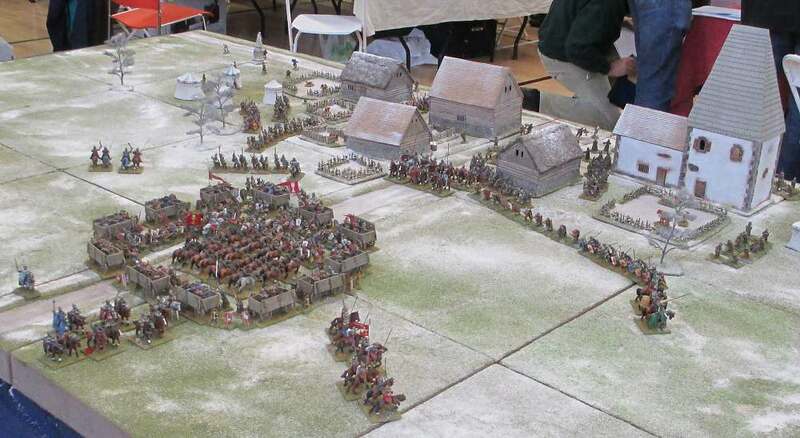 The red plastic marker is a clever device that indicates a unit is pinned down by enemy fire. You can turn a dial on the base to show how many pins it represents (the more pins a unit suffers, the harder it is to get it to obey orders). 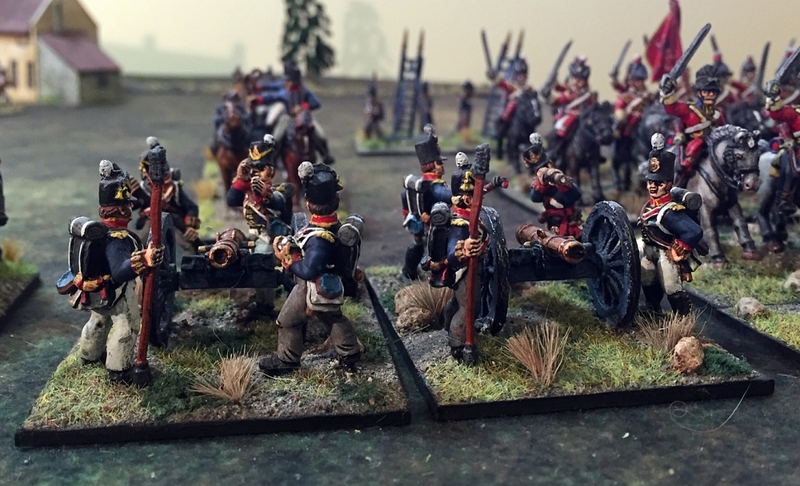 Whilst these markers are indeed clever, I do think they look artificial and so detract from the overall look of the game – I would perhaps disguise them with some cottonwool smoke. Another view of the burning Jeep. Scott’s smoke even contained a little candle-light flickering away to create dramatic effect! In the distance, the French 75mm gun in the objective area was still hammering away unsuccessfully at some German units located on that hillock on the horizon. 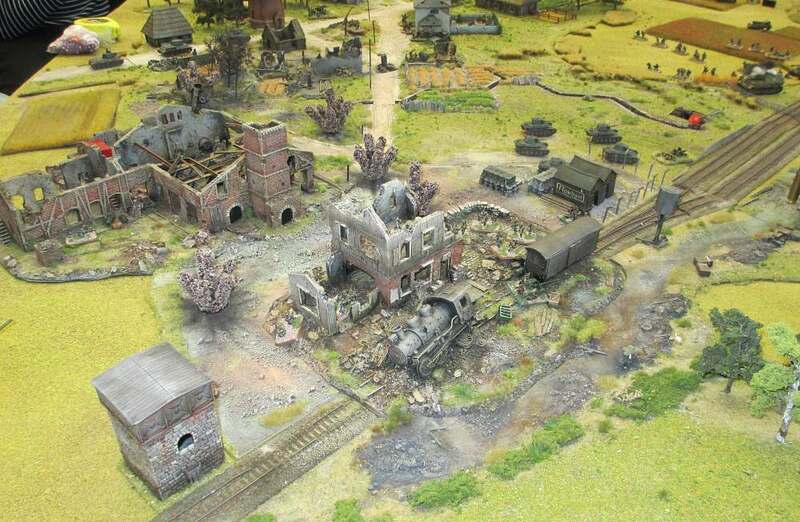 Now the Germans brought on their own anti-tank gun to threaten the crossroads. It aimed a potshot at the Dodge Tanake. Luckily the driver spotted the threat. He quickly graunched into reverse gear, and, engine screaming, the Tanake accelerated backwards around the corner and out of danger. Whew! 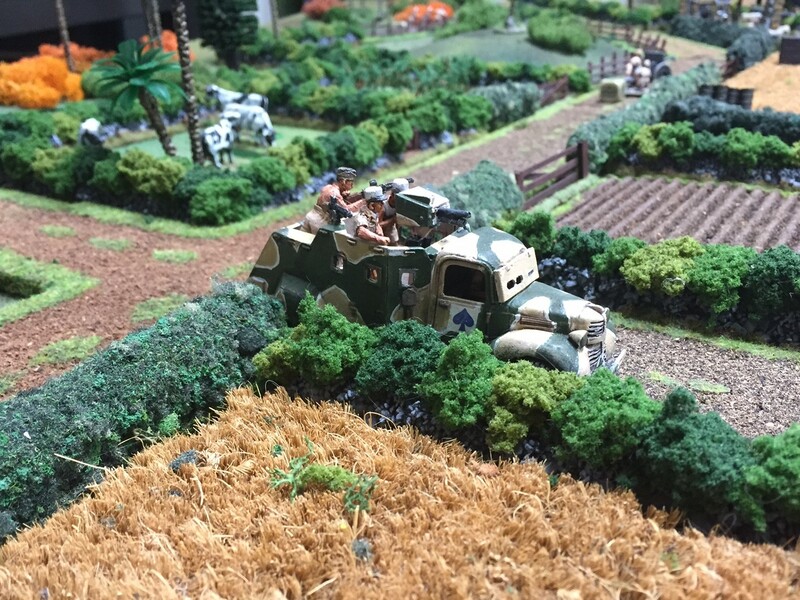 The second unit of Legionnaires also turned at the crossroads and followed the reversing Tanake towards the objective area. I had just remembered I would lose the game if I left the objective unoccupied through becoming distracted into firefights on other parts of the table. 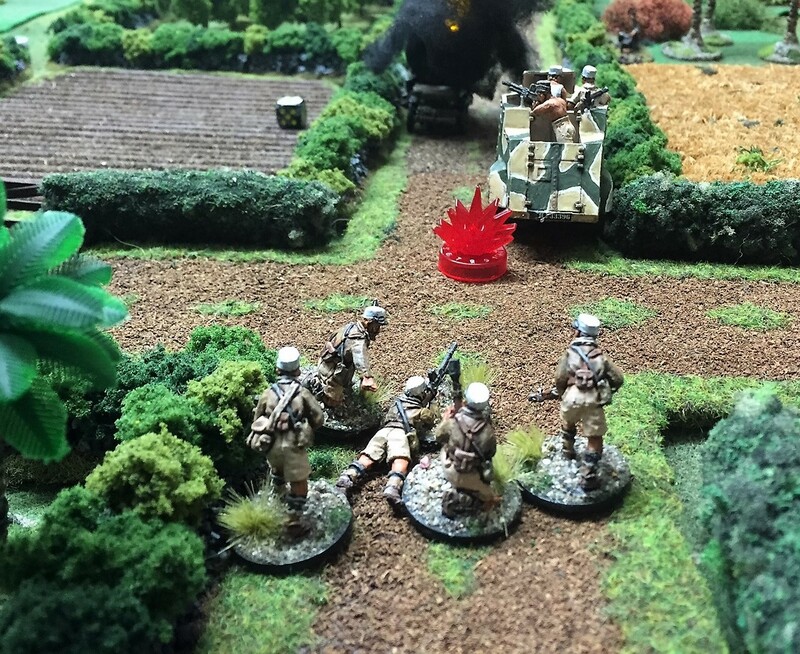 The rules state that the objective can only be claimed by infantry, not vehicles. 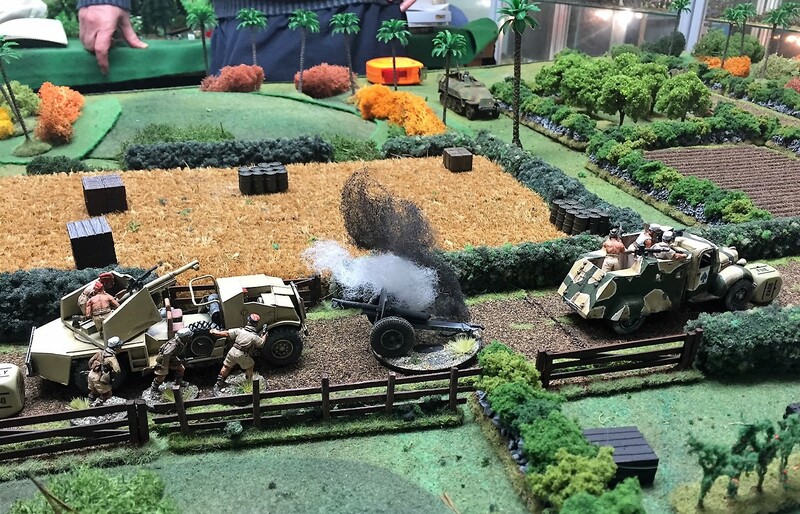 Meanwhile, the 75mm howitzer carried on banging away ineffectively, having already lost a crew member from a hidden German mortar fire (remember that pesky spotter the Tanake hadn’t been able to eliminate earlier in the game?!). Sacre bleu! 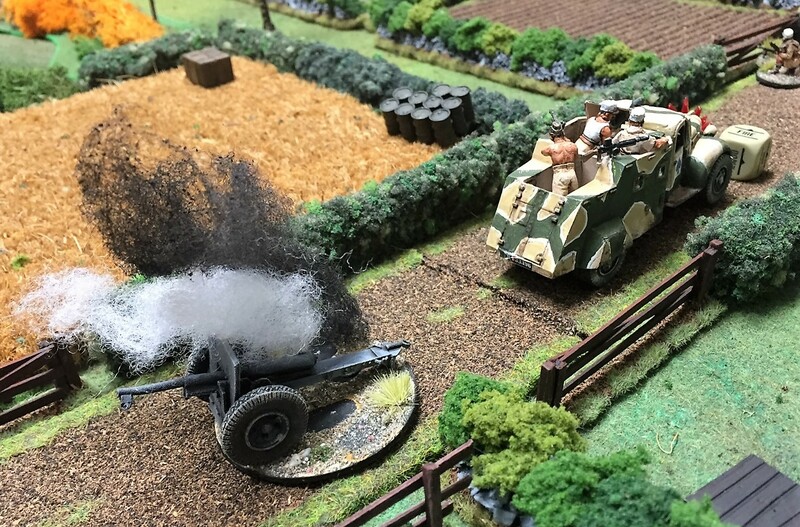 Disaster as my howitzer gets destroyed by another direct hit from that German mortar! 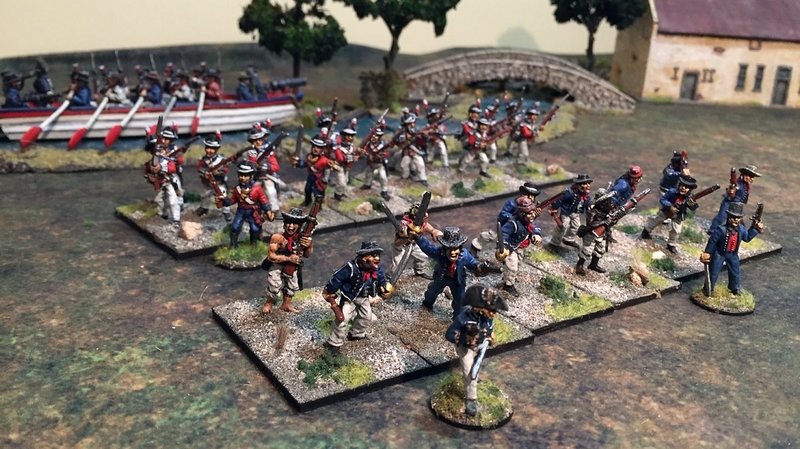 On the left flank, my newly-painted Conus auto-canon finally made its gaming debut, its Moroccan Spahi crew distinctive in their red sidecaps. 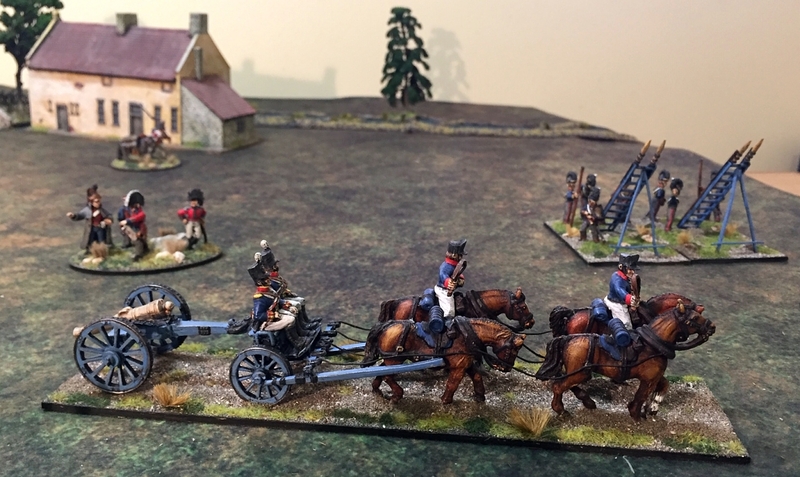 The Heath Robinson-ish contraption accelerated up the road to reinforce my men at the objective area. Remember that first unit of Legionnaires we last saw as they charged and destroyed an enemy infantry unit at the ruined house? 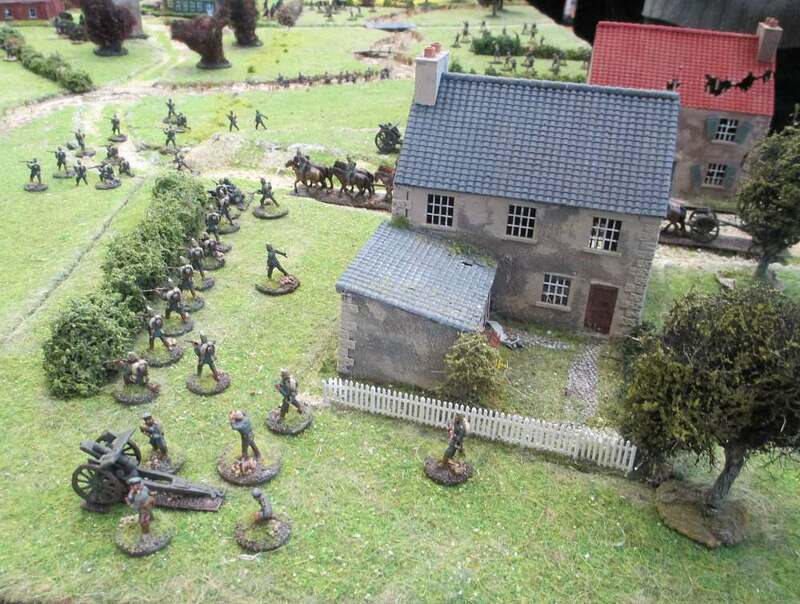 Well, off they go again, this time charging a German machine gun nest. 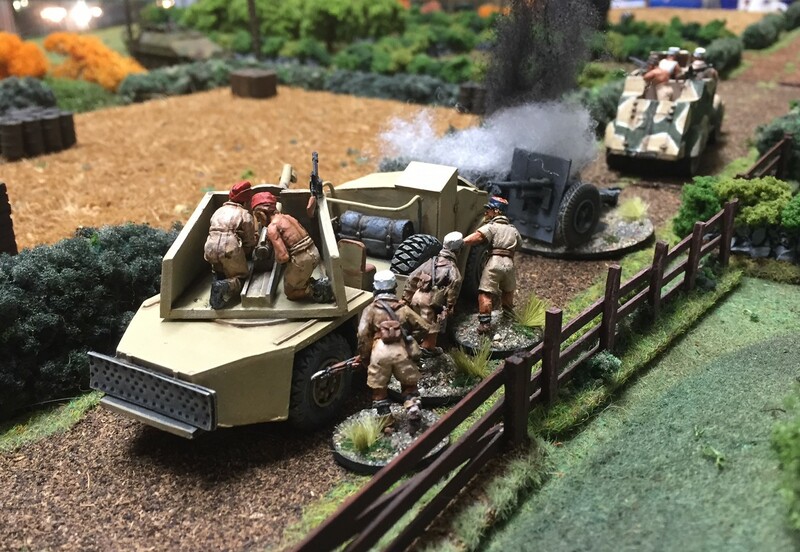 Once more luck was on their side, and the machine gun crew was wiped out. 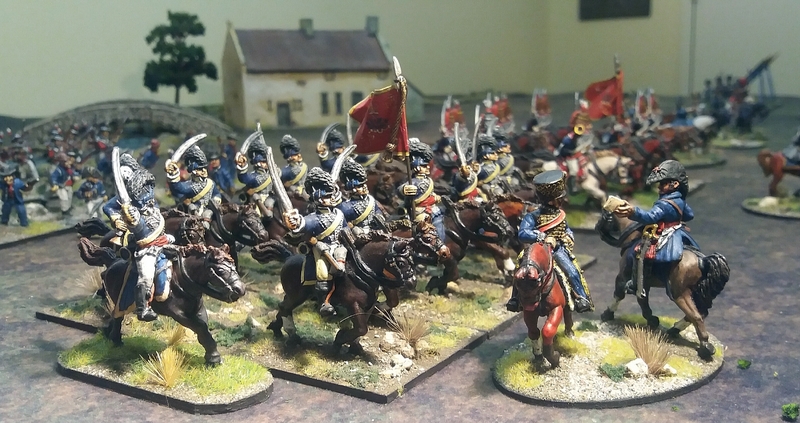 The French began to converge on the objective area. 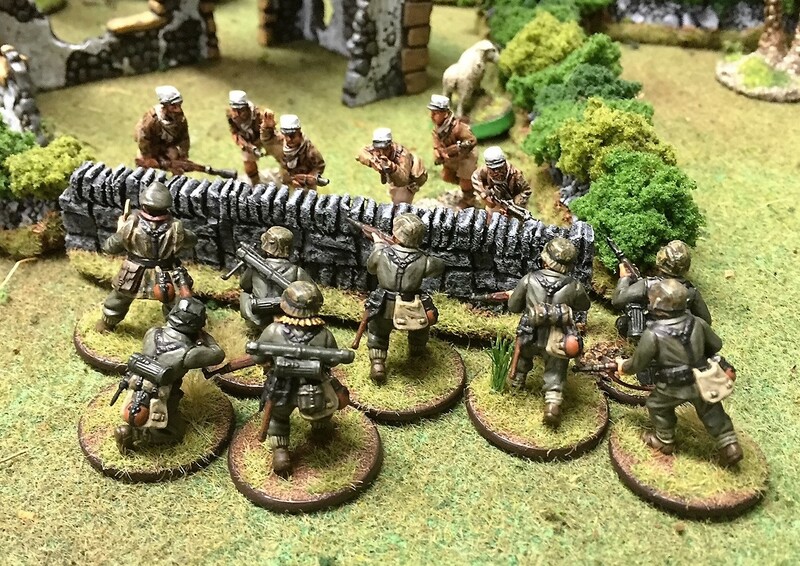 There had been a moment of panic earlier when that blasted mortar got a direct hit on a unit of Legionnaires who had been sheltering behind the Tanake, killing them all. 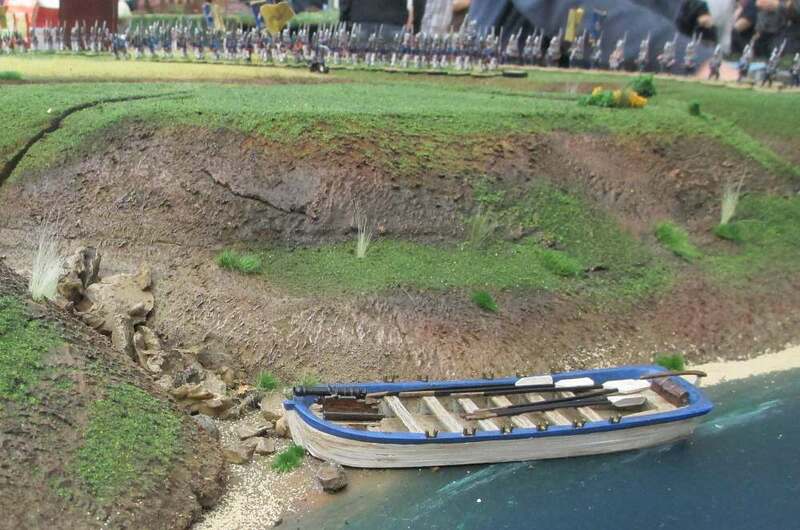 But once the French commander and his small team arrived, along with the Conus, they quickly regained control of the situation. All guns now bore on the only remaining German infantry squad hidden behind the stone wall in the distance. There was no way they could stand so much fire, and when the German squad was eliminated, Scott reached over the table to shake my hand and concede the game. Let’s finish with another quick look at my two rather curious vehicles. 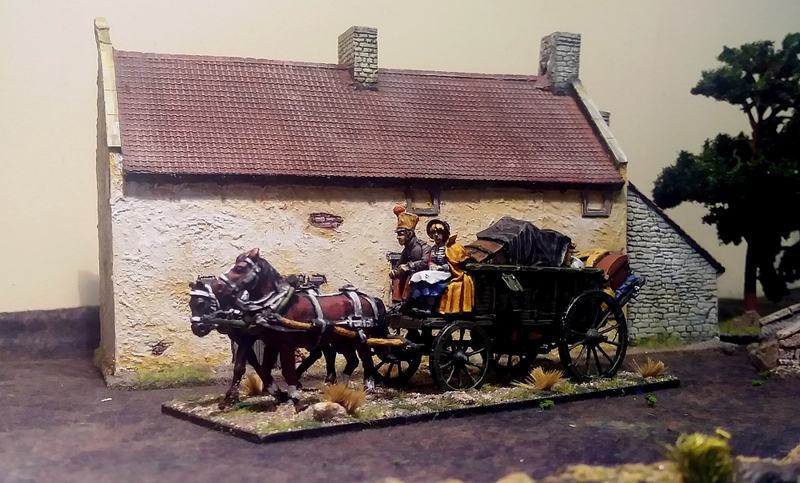 Firstly, here is the Dodge Tanake by Perry Miniatures. 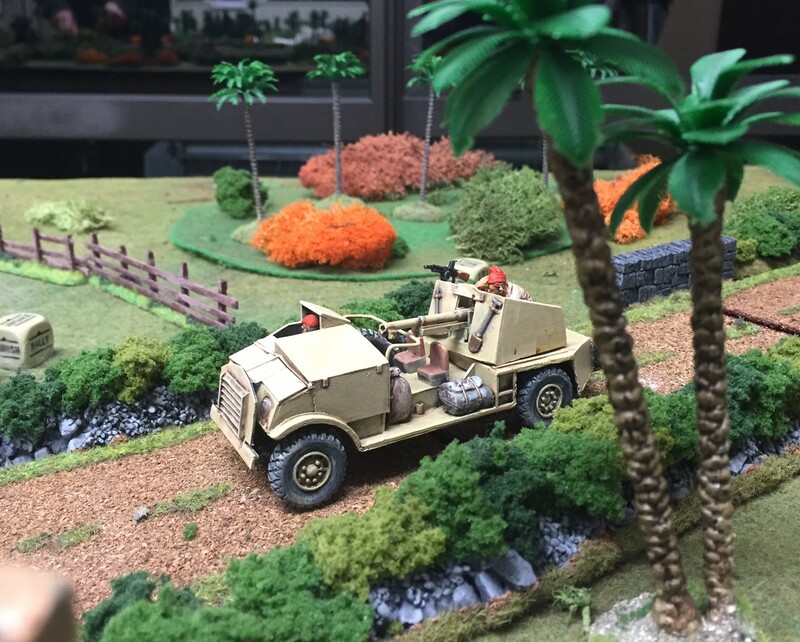 During the war, approximately ten Dodge trucks were armoured and armed with 37mm anti-tank guns and a couple of M24/29 light machine guns. 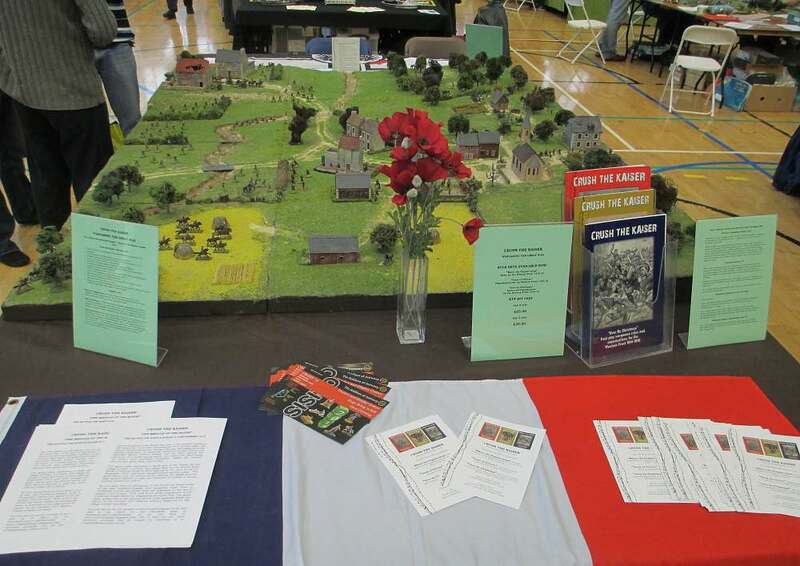 They were used by the French, Vichy French, Free French and Syrian forces. And now my latest model – the Conus, also by Perry Miniatures. The Moroccan Spahis used these Conus guns, which were CMP 30cwt trucks with a 75mm M1897 gun mounted on a turret race taken from a captured Italian M13/40 tank. The idea was proposed by a Lt. Conus, hence the name. Twelve Conus guns made up the 3rd Squadron of the Régiment de Marche de Spahis Marocains. 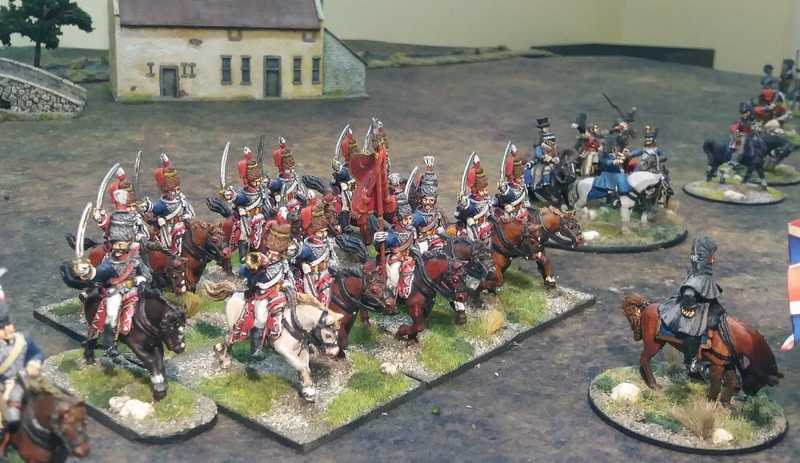 It’s been fairly quiet on the gaming front at the moment, but not entirely without some output. 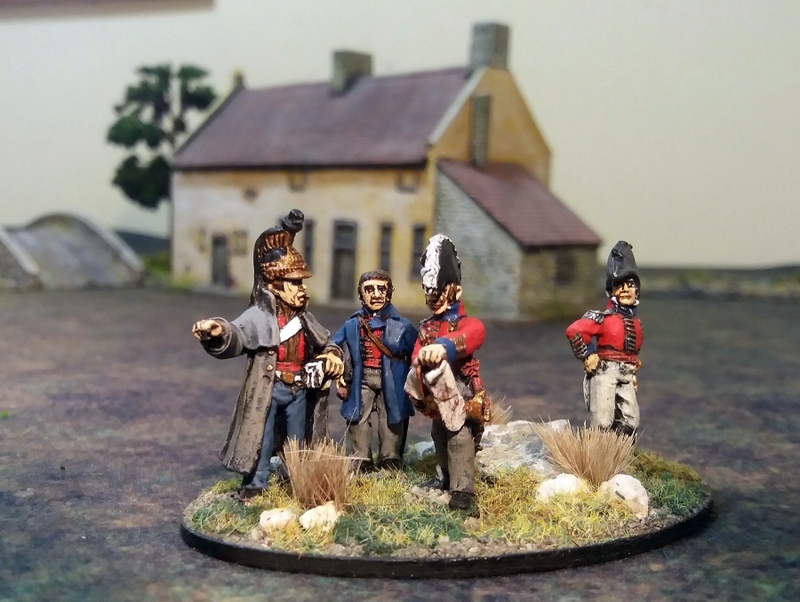 I’m working on some Empress Miniatures figures from their colonial New Zealand Wars range, including these four colonists defending their homestead, and the three gunners to man a Maori cannon. 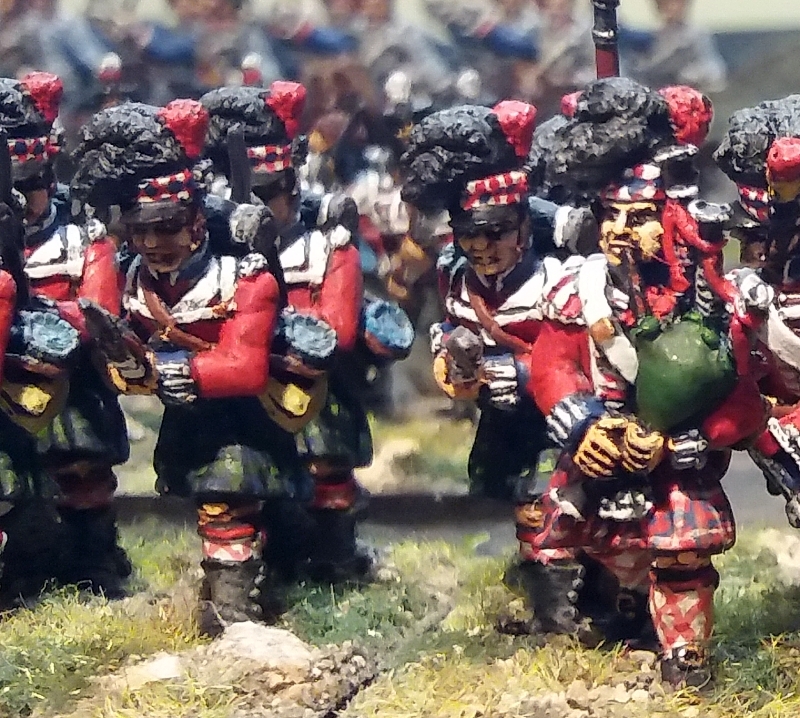 I also have the last banner-man for my Kingsford Miniatures Japanese samurai to find a suitable flag design for. Something nondescript, as he is not really required for either of my samurai clan armies, so will be just a decorative figure. 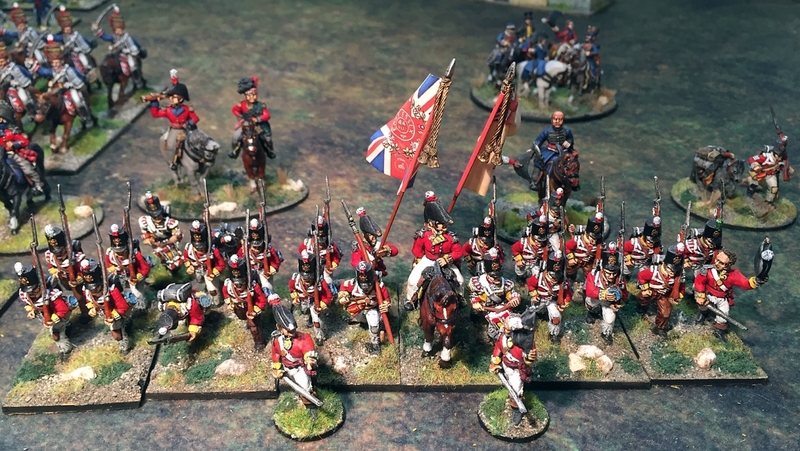 The Napoleonic British standard bearer in the background is a Warlord figure that came with a set of Black Powder rules. 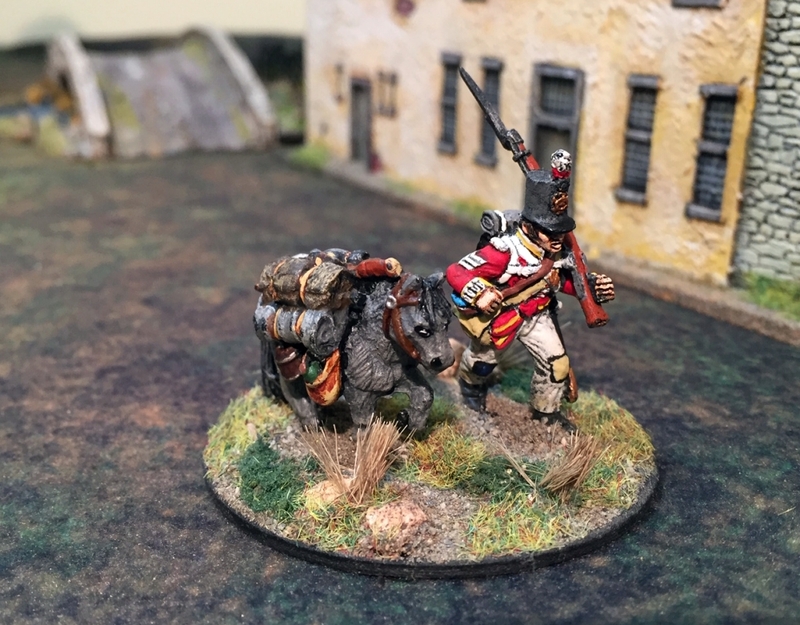 He comes with a cast-on flag, which (like the samurai flag) has been quite a challenge to paint, because I’m more used to GMB Design’s exquisite printed paper flags. 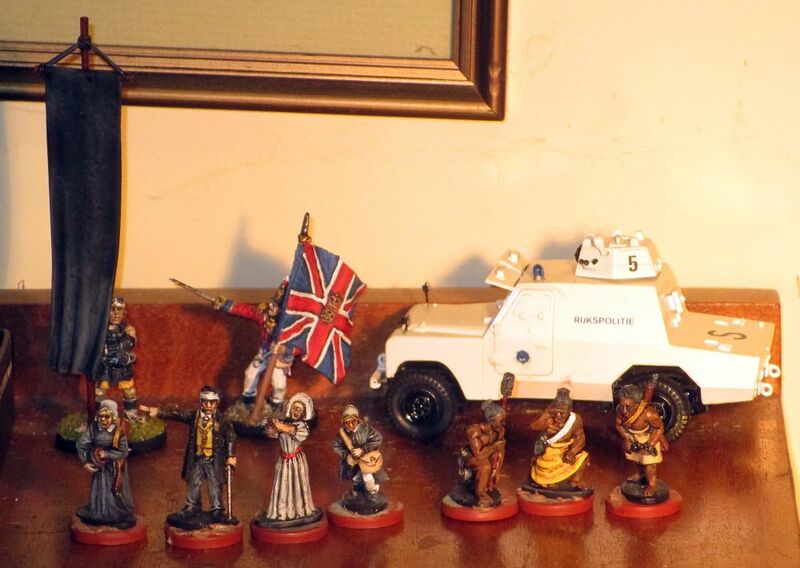 Finally, I recently dug out a miniature resin model of a Dutch police Shorland armoured car, which I made a decade or so ago in my previous hobby of collecting model police vehicles (before I became a wargamer). From memory, the manufacturer was called something like Transports of Delight. 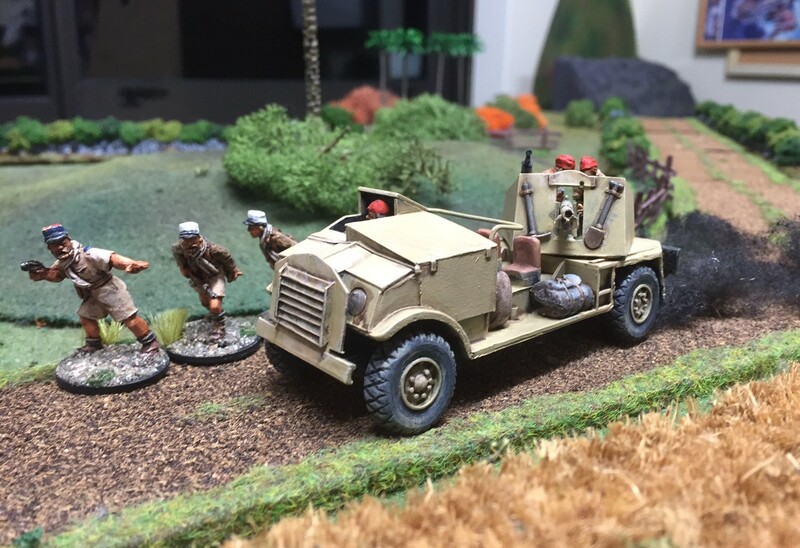 I can’t see any particular gaming purpose for this model, but I just love the shape of the Shorland, based as it was on the common-or-garden Landrover. 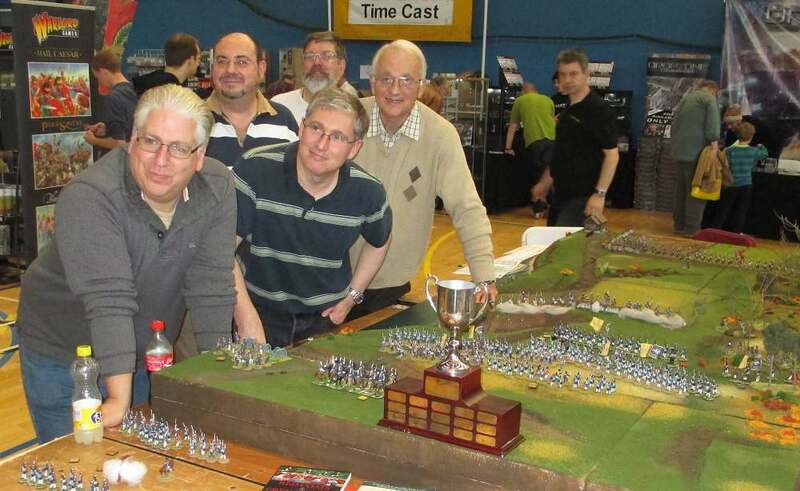 When this official photograph was being taken of the winning game at the recent SELWG (South East London Wargames Group) wargames show at Crystal Palace in London, little did the guys know that the chap standing alongside the official photographer and sneaking some distinctly unofficial shots with his little camera was probably the furthest travelled visitor to the show. 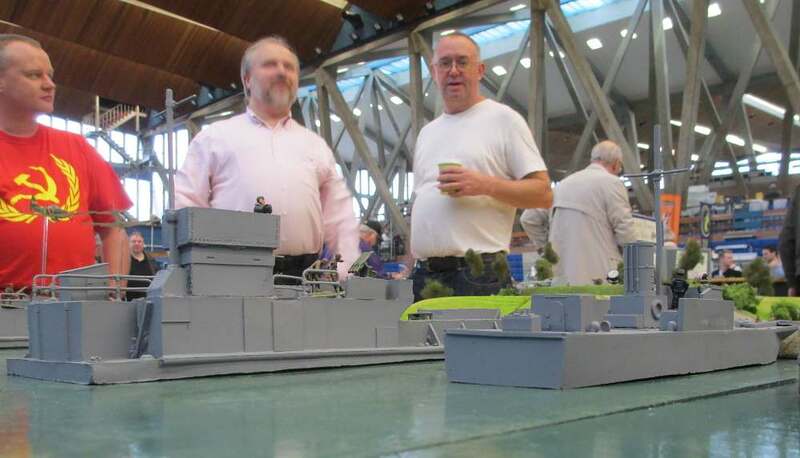 The following article and pictures portray the impressions of the show from that far-flung visitor. 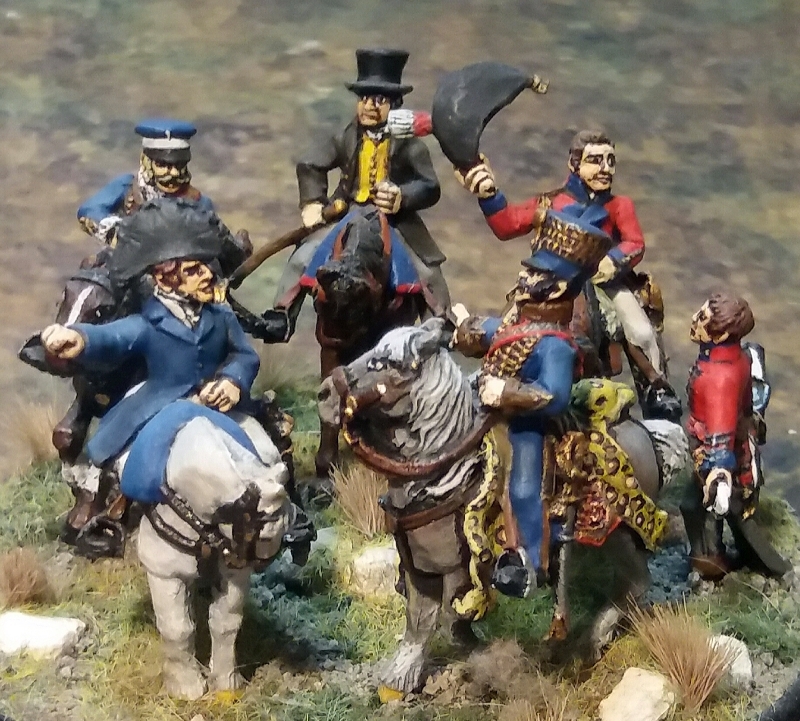 As such, you’ll probably find this posting displays a rather naive wide-eyed enthusiasm of an Antipodean abroad, in contrast with more restrained reviews from British gamers for whom attending such shows is almost just a routine part of the hobby. This report might also be one of the most delayed, as it is already nearly a month since SELWG took place. But the posting had to wait until I finished my holiday and got back home to New Zealand. 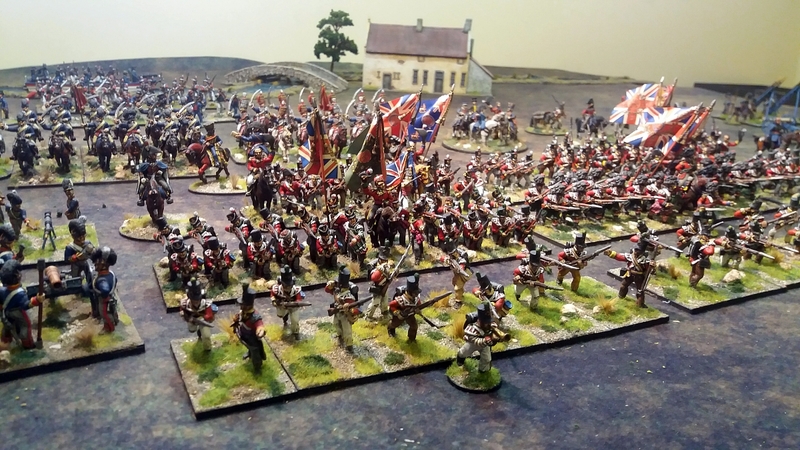 I’m hoping people will still find this article of interest, as it is from the point of view of someone who has never before attended a big wargames show. I had flown from New Zealand with my wife and daughter for a five week holiday in the UK and Europe. I had always yearned to visit a big show such as Salute or SELWG. So finding that I would be in Rye, less than a couple of hours away from the SELWG venue, meant that I just had to more heaven and earth to ensure no family events got in the way of my being able to attend. Luckily my evil plan succeeded, and I duly received a ‘day leave pass’ from my family! I had initially planned to take the train from Rye to London. But then a few days prior to the event I thought of asking online to see if there were any UK gamers who would be driving up from somewhere close to Rye, and whom I could join for the trip. My reasoning for this was to a) not get lost; b) have a chance to chat with some fellow gamers during the drive; and c) have some company during the event itself. In the end this worked out better than I could ever have expected. 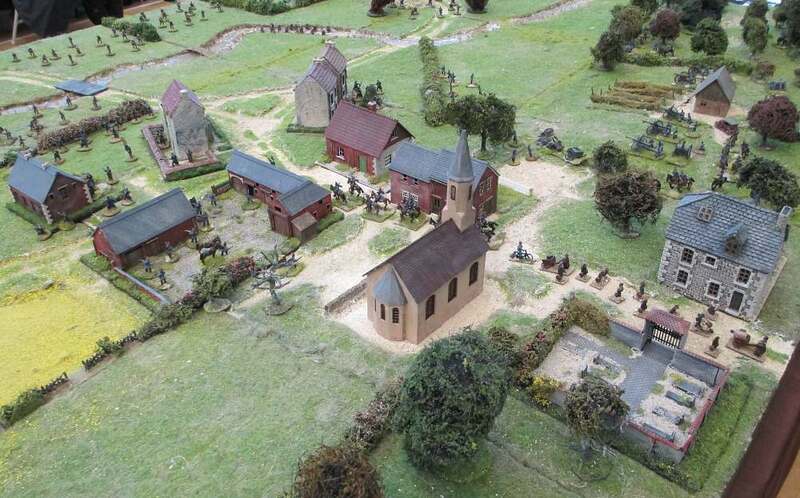 Robert contacted me and offered not only to get me to the show without losing my way, but also invited me to accompany him to a restaurant afterwards for a meal with some well-known faces of the hobby. 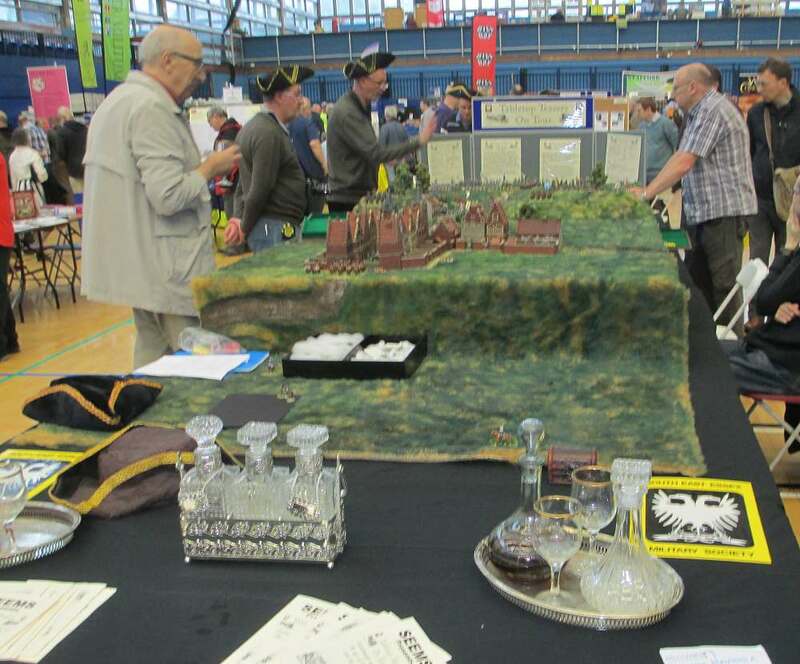 The day was rainy, but that wasn’t a problem for an indoor event, other than a bit of a soaking during our walk from the carpark to the Crystal Palace sports centre. Inside, once the fug of soaked raincoats had dissipated and the spots of rain on my glasses had cleared, the weather outside was easily ignored. My first view of the event took my breath away. 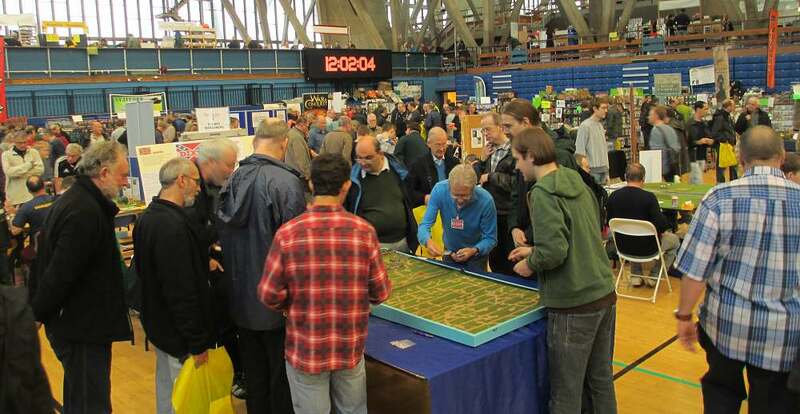 The huge sports hall was filled with colourful game tables, and surrounded by two levels of trade stands. 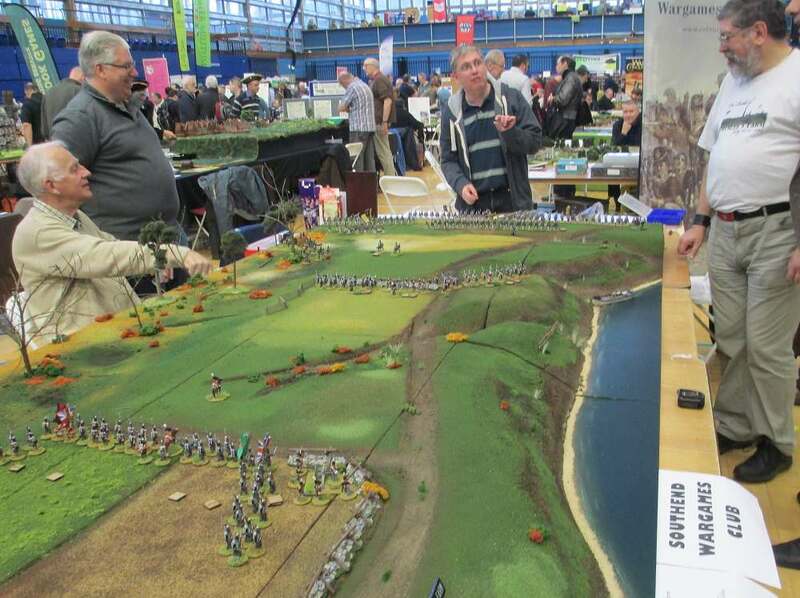 And what a mass of people – I’d never seen so many wargaming enthusiasts gathered in one place. 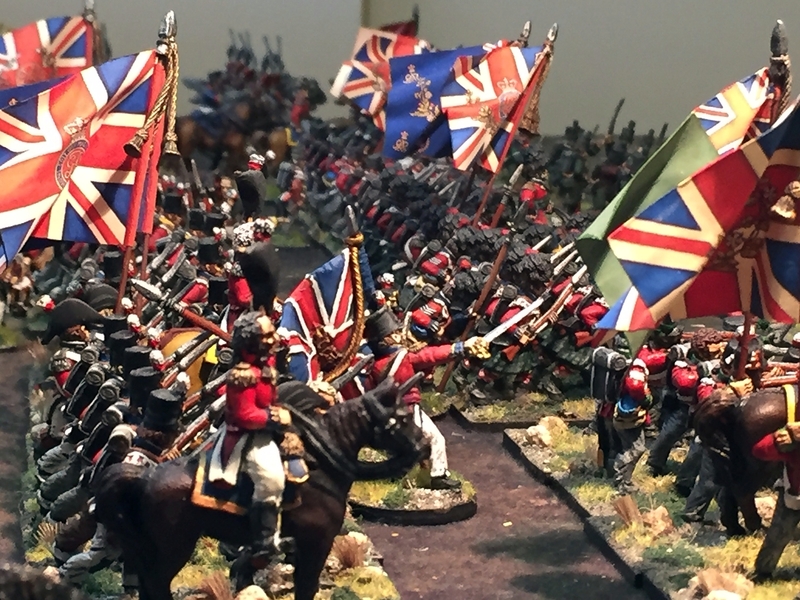 Who would ever have believed that there were so many people interested in my rather odd hobby of moving little toy soldiers around on a tabletop? I decided to begin at the bring-and-buy, thinking that if there was anything interesting there, I should get in fast. 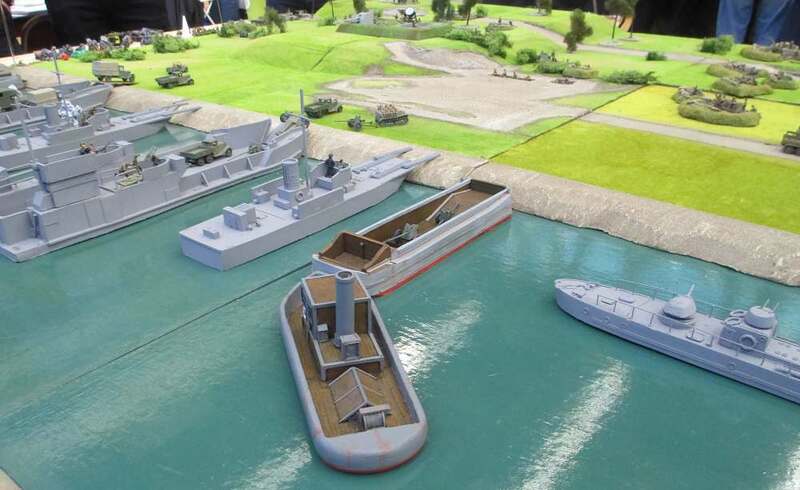 But unfortunately all those other wargaming enthusiasts seemed to have exactly the same idea. So I experienced my first-ever bring and buy scrum, with the tables packed three to four rows back. 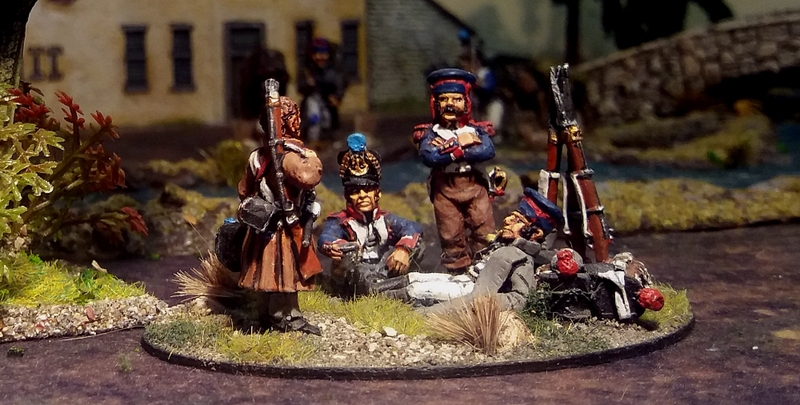 The end result was that if there had actually been anything of interest to me on the table, it was well-gone by the time I managed to fight my way through the ruck. 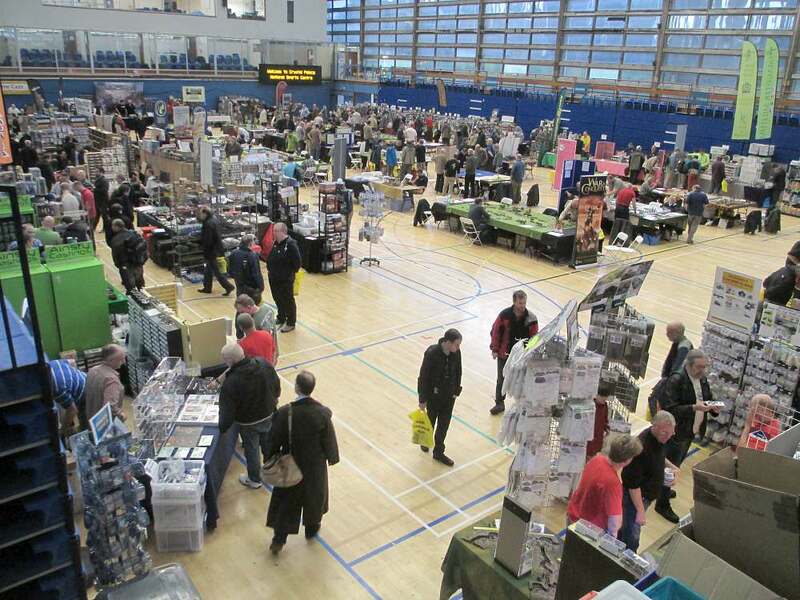 My next port of call was a quick round of the trade stands to see who was there, and in particular to see if I could meet in person some of the traders I had only ever dealt with online from New Zealand. 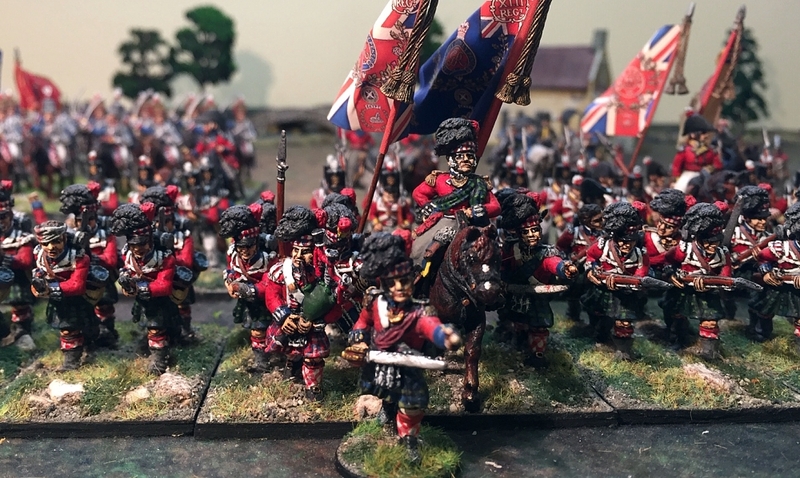 I quickly found one of my favourite suppliers – Empress Miniatures, who produce the wonderful figures I use for my colonial New Zealand Wars armies. It was great to chat with them, and especially to learn that there will be some new releases in this range next year. 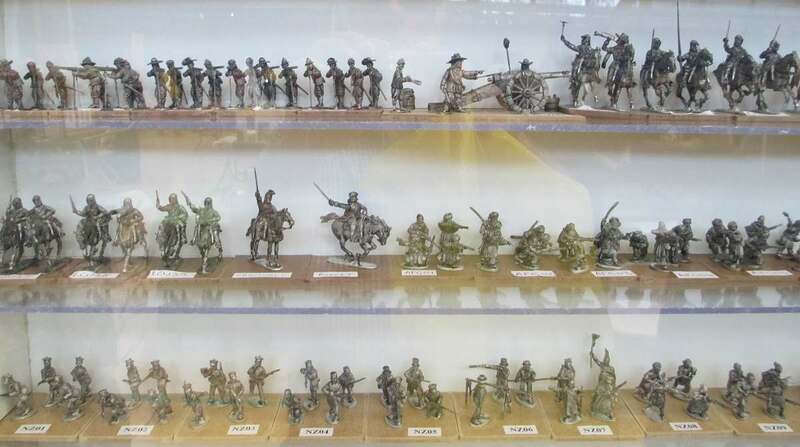 As a wide-eyed Antipodean, it was fantastic to wander round all the stalls and see in real-life all those miniatures that I had only ever seen as photos in magazines or online. 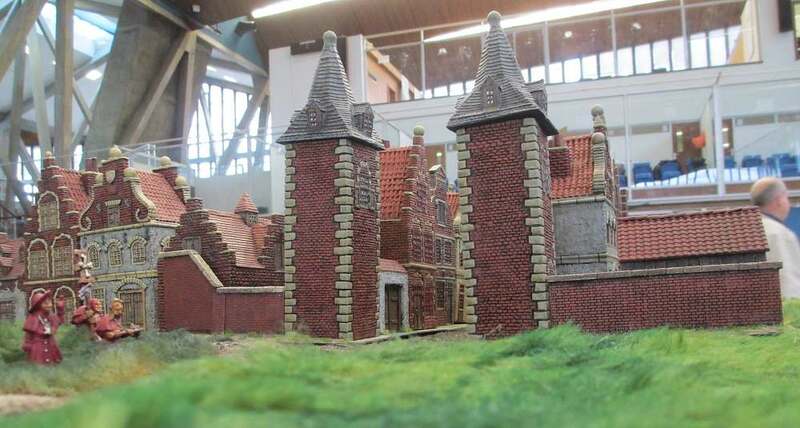 The hall was a huge cornucopia of every type of figure and piece of terrain I could imagine. Despite what looked to me like every trader under the sun, I learned there were actually several big names who were absent. 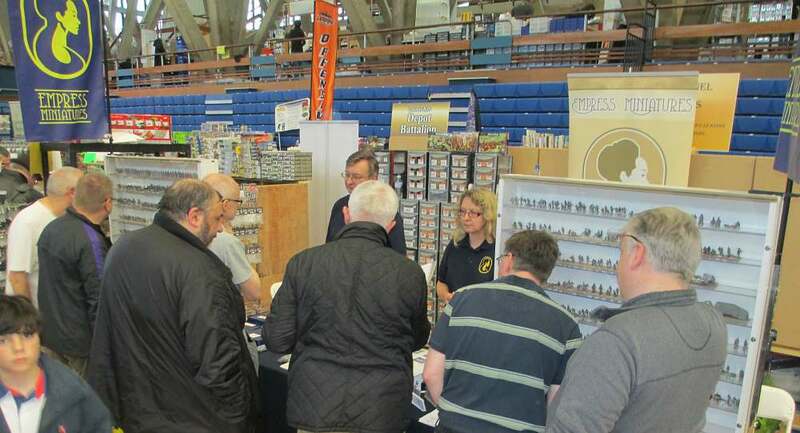 For example, I would’ve dearly loved to meet up with Front Rank Miniatures, whose figures are the mainstay of several of my armies – but sadly they weren’t at SELWG this year. In a remarkably restrained manner, I bought only one thing all day (a small resin sampan for my latest samurai project). But before traders get upset at wasting their time at shows for such measly purchases, I must add that I took note of quite a few items I’ll probably be buying through mail-order once my current project is completed. 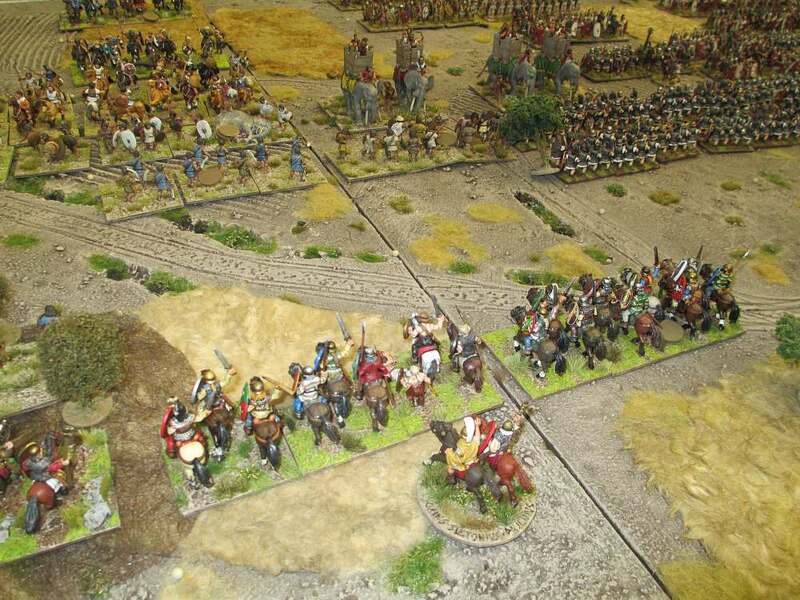 Another thing I was really keen to do was to meet up with some of my fellow wargamers whom I had only even known from the online word. 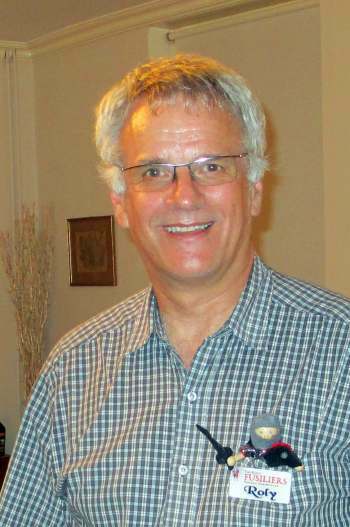 To help them recognise me, I wore my Kapiti Fusiliers name-badge, clearly emblazoned with my name ‘ROLY’. 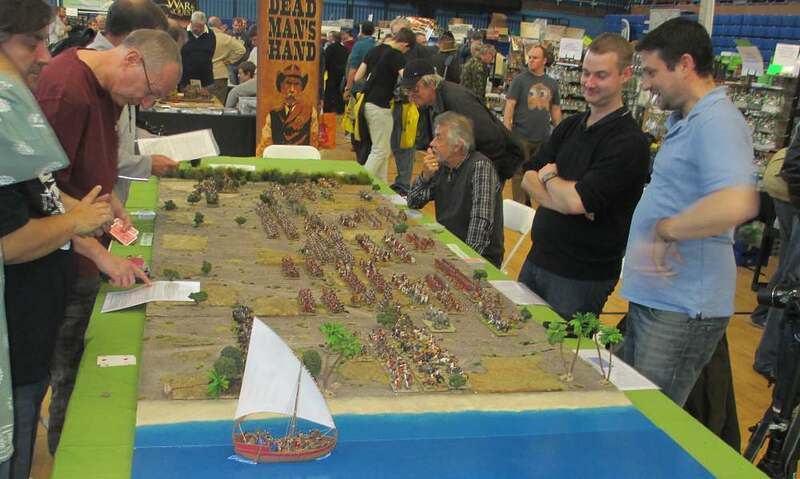 This didn’t quite work as well as I hoped, partly because most of my online wargaming friends know me more as my nickname Arteis, and partly because most people assumed the name-badge meant I was just a trader. So it was up to me to go up to people I suspected I might know (which for some puzzled gamers, will account for the rather pushy New Zealander accosting them at their games). With so many people at SELWG, in the end I wasn’t too successful meeting up with people by this cold call strategy, and so didn’t find too many I knew (though I heard later there were plenty enough of my friends there, if only I had recognised them). One meeting that did succeed, however, came down to my Dutch heritage. At one point my ears pricked up to hear some Flemish being spoken behind me (almost the same language to the untrained ear), and so I turned round and introduced myself with a ‘Goede dag!’ – and so was very pleased to meet up with a couple of the guys from Antwerp. And of course, the games! The other anticipated excitement of the day was to view all those luscious games, and I was not disappointed. Every period I could think of was covered in one scale or another – except sadly my current obsession with samurai, which was surprising considering the excitement at the moment about the new ‘Ronin’ rules. 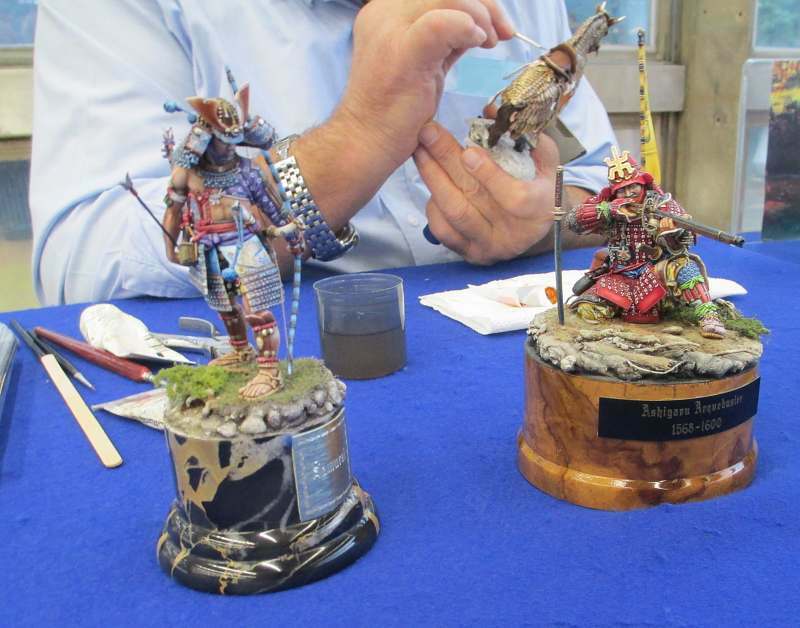 Though this was partly assuaged by some magnificent large-scale samurai figures on a painting demonstration table. 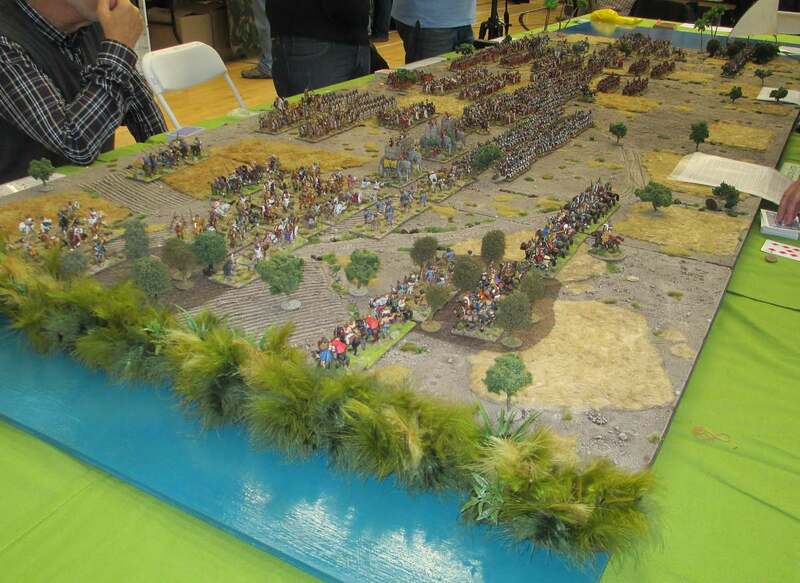 Most of the games were fabulous, and the painting and terrain were simply superb. But I did note a lack in using the third dimension (height). Photos I’ve seen of previous shows depict dramatic games set on mountains, hills, tall buildings and other high terrain. 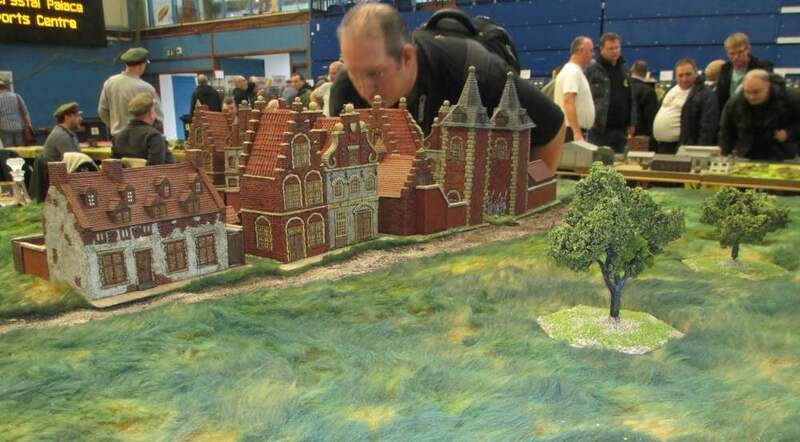 The time and effort involved in producing such lofty terrain means they tend not to occur in normal club gaming (in my experience, anyway), and so are usually only seen at big shows like this. 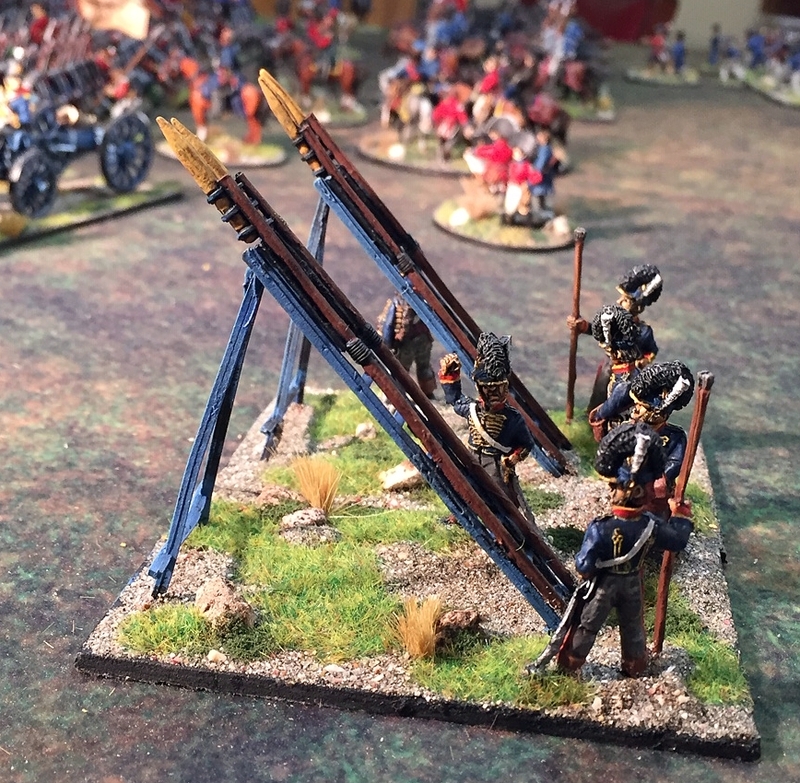 But with only a few exceptions, the games at this SELWG were pretty flat, and none at all blew me away with any exciting use of the height dimension. But apart from that minor disappointment (which, after all, was only my opinion), the games were otherwise stunning. 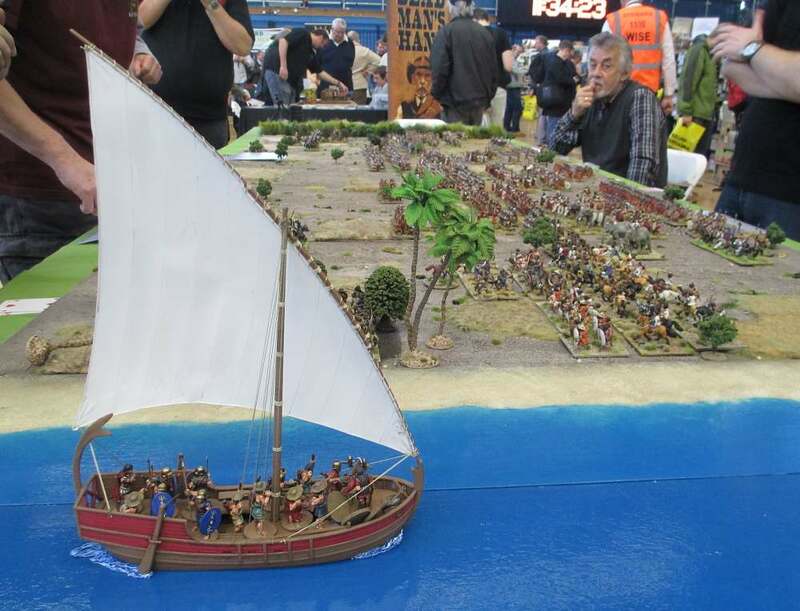 And not only with their terrain and figures. I also noticed the lengths to which some clubs went to give their games period character, such as using appropriate props to decorate the sides of their table, or by judicious wearing of uniform items. Also evident was the readiness of the players to engage in conversation with bystanders, rather than being too engrossed in their own gaming. It was fun to chat with quite a few of the players, especially where the rules were a bit out of ordinary. And so that was it – SELWG! 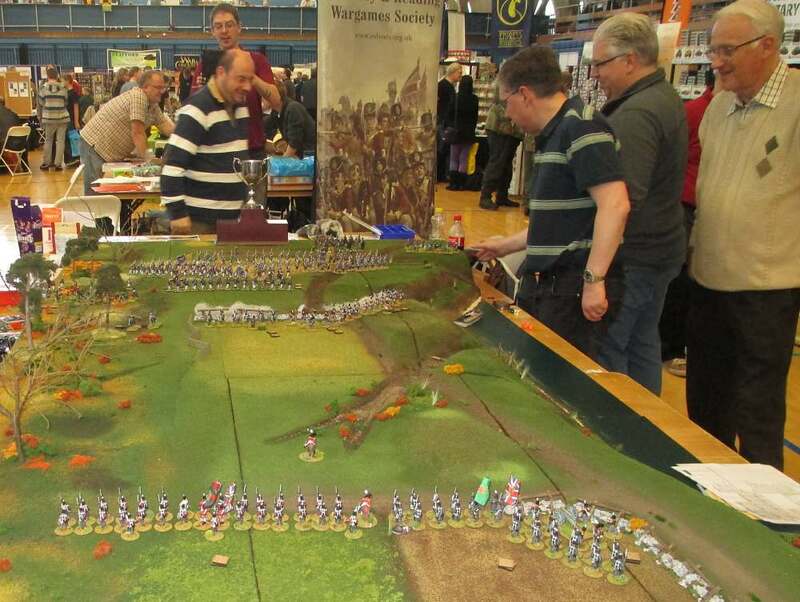 As I mentioned at the start, some of the local reviews of SELWG seem to regard it as a commonplace event. 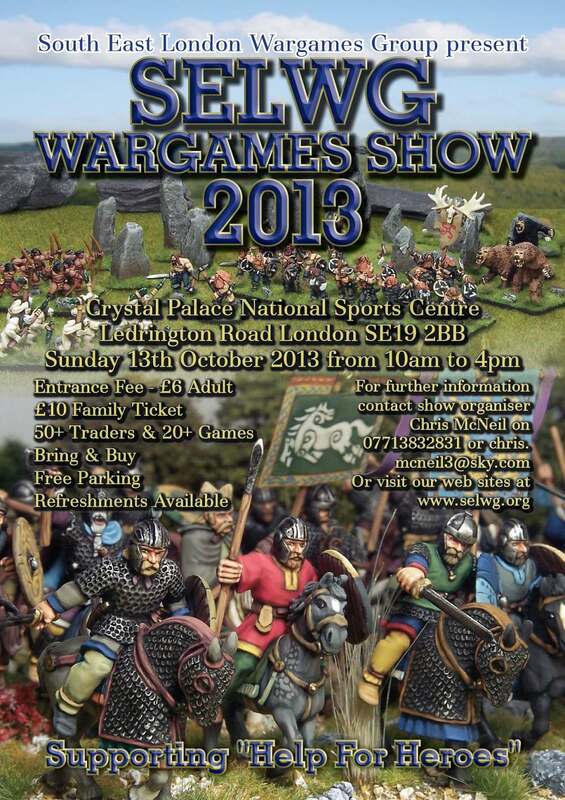 But I urge UK wargamers to never take such events for granted. Remember that for many of us, these big shows can only be a wishful dream. 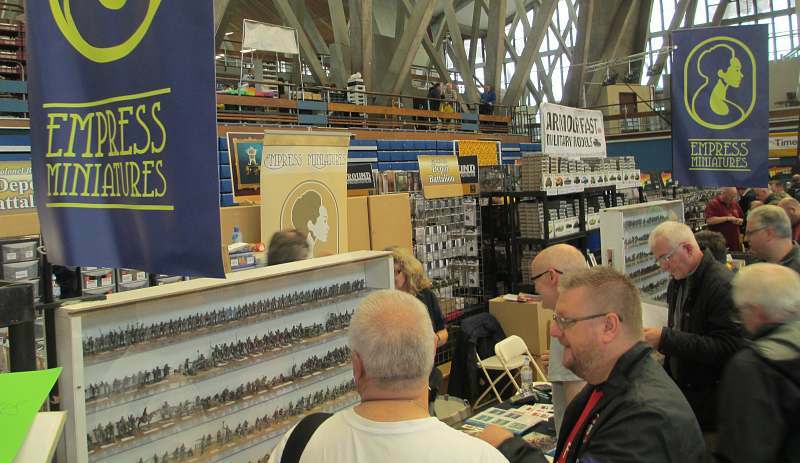 It is just a lucky few of we Antipodeans (and other such far-flung gamers) who can ever attend a big UK show in real life, as I had the pleasure to do. Many thanks to my host Robert; to my dinner companions Mike, Bill and his charming wife; and to all the wonderful people I met during the day, who all made SELWG so memorable for this wide-eyed Antipodean visitor. Let’s take a closer look at some of the games that particularly caught my eye. Don’t forget to click on the pics to enlarge them and see all that lavish detail. 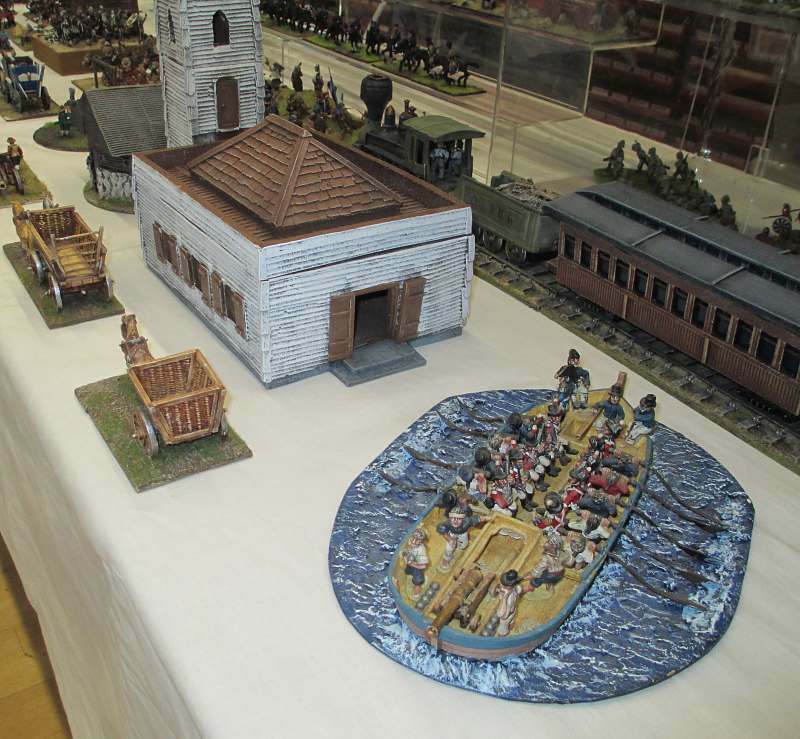 Southend Wargames Club won the show with their depiction of the War of 1812 Battle of Cryslers Farm. 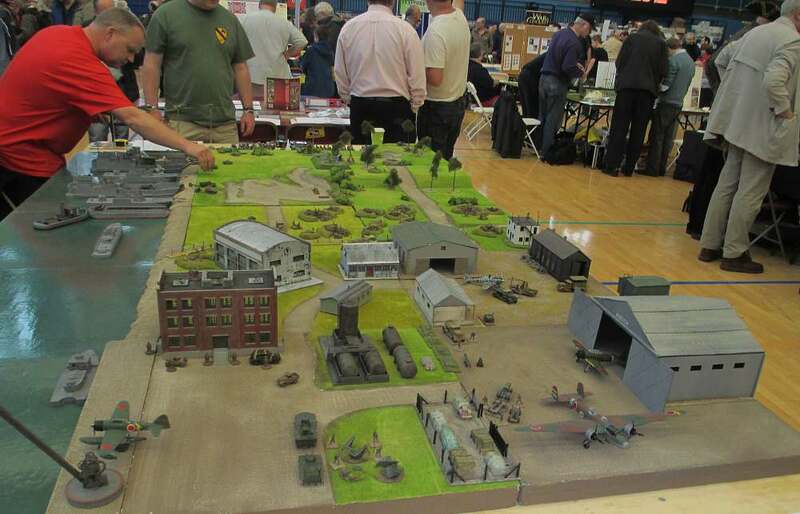 This was one of the few games at SELWG that I felt made some use of the third dimension, height. Here’s one of my favourite games of the show – and I’m not even usually a fan of WW2 (though to be exact this is a post-war game – just!). 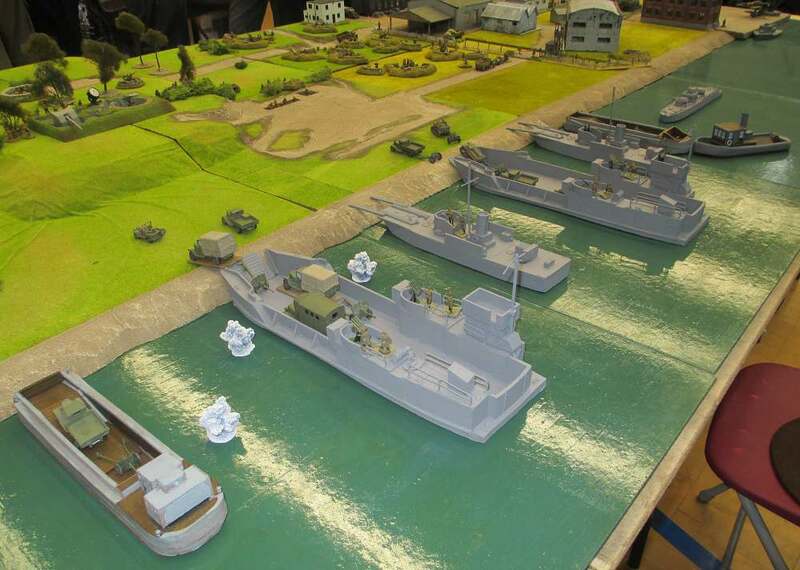 It is the Deal Wargames Club’s rendition of the Russian attack on the Japanese-held Shumsu Island. 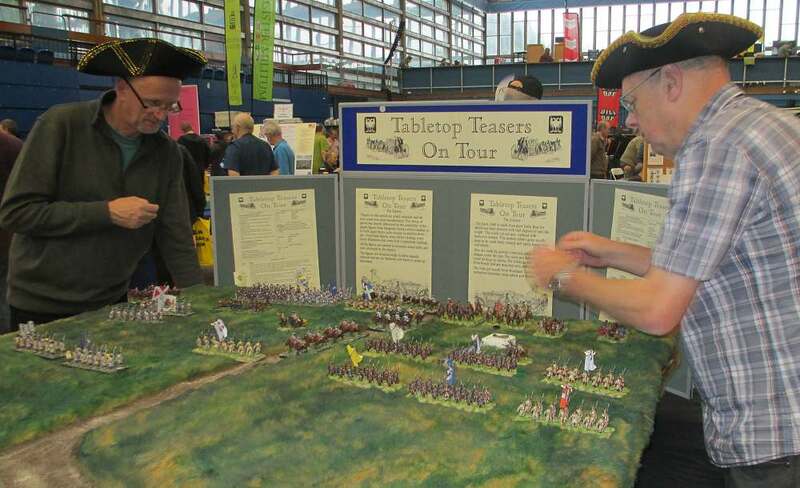 The South East Essex Military Society (SEEMS) put on a War of the Spanish Succession game as their ‘Tabletop Teasers on Tour’ display. 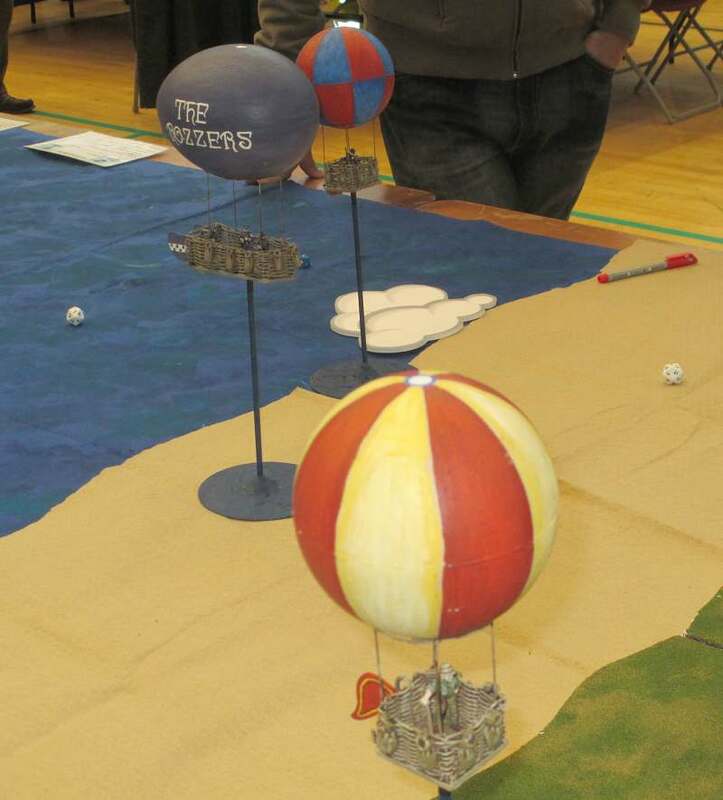 A deceptively simple-looking table, but one that nevertheless caught my eye, was the Maidstone Wargames Society participation game called ‘Those Magnificent Men in their Floating Machines’. 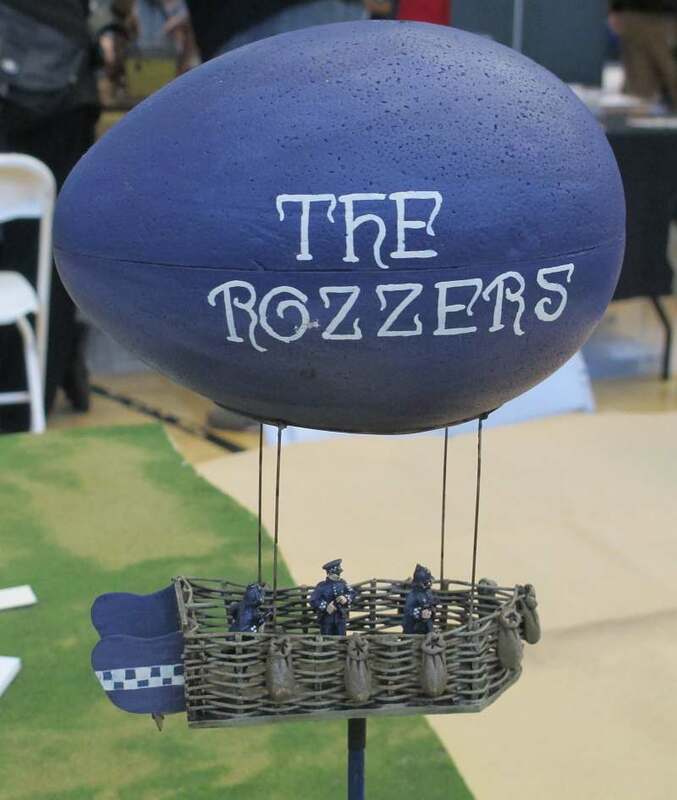 The idea was that smugglers in balloons had to get their contraband to the British coast, pursued by other smugglers and the local constabulary (or rozzers). 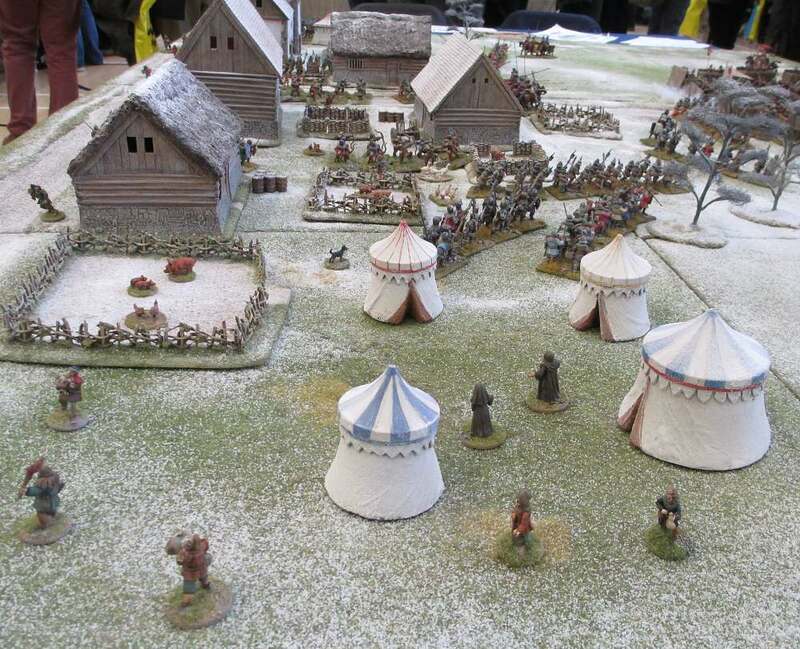 The Shepway Wargames Club put on a very nicely-done game of the Battle of Nobovidy, 1422. The snowy terrain was particularly well-done. 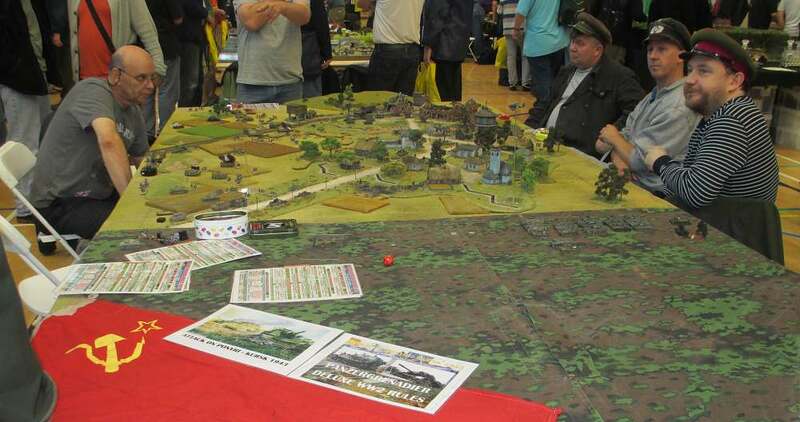 Loughton Strike Force used the Panzergrenadier Deluxe rules to play their eye-catching WW2 Kursk game, the Attack on Ponyri. Ancients are not normally my thing, but who could resist Simon Miller’s magnificent depiction of the Battle of Thapsus, 46BC? 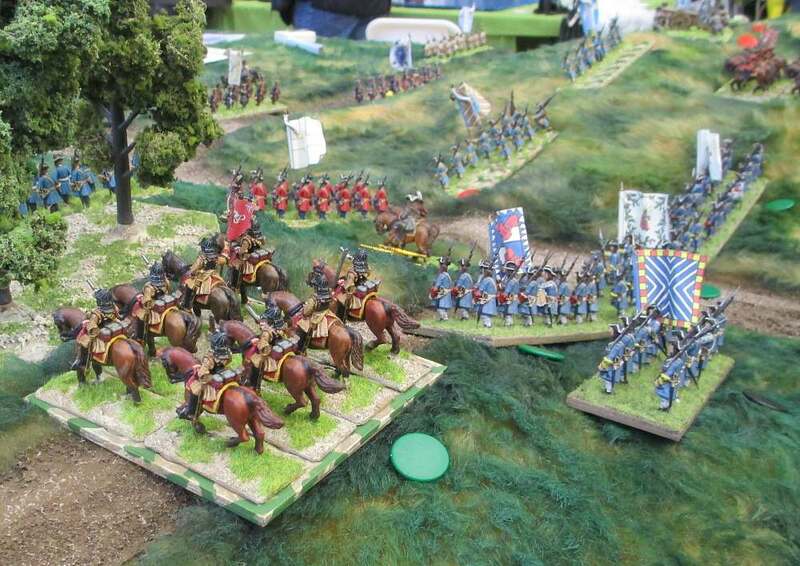 Finally, here’s a look at an early WW1 game called Crush the Kaiser. 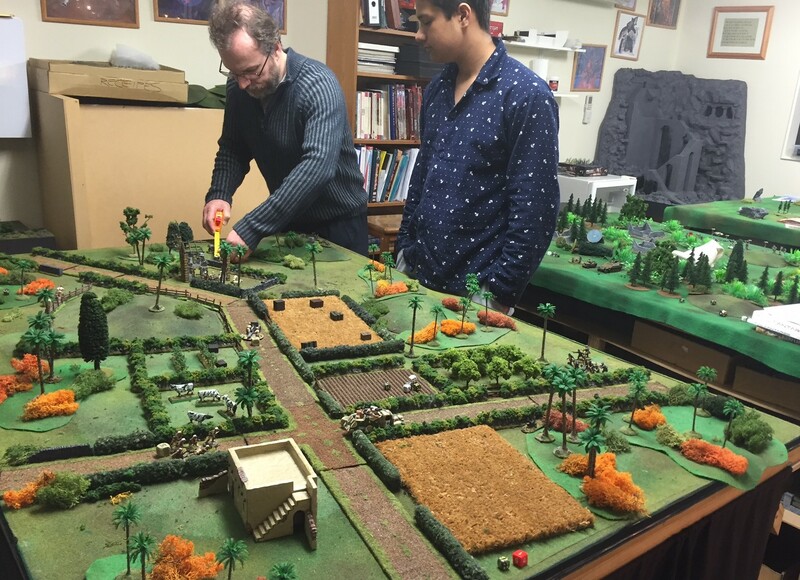 It included something often missed in wargames, namely the effect of the civilian populace – something to make us remember that playing wargames is (thankfully) a great deal different from making war. 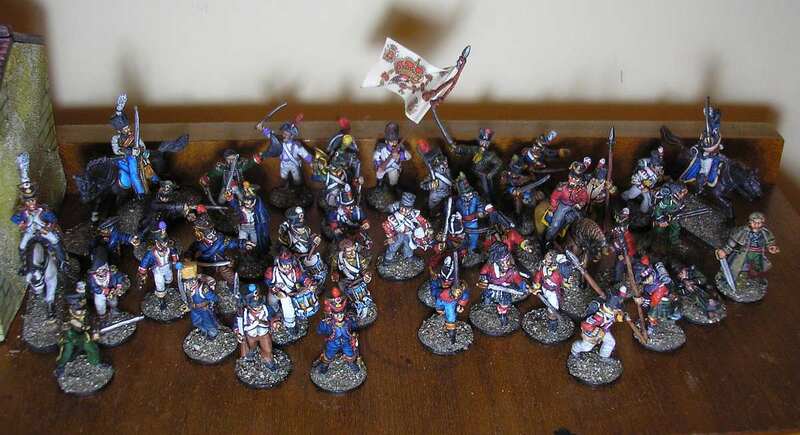 I haven’t done anything Napoleonic for some time now, neither gaming nor painting, despite having a cabinet full of French, British, Spanish, Portuguese and German troops. 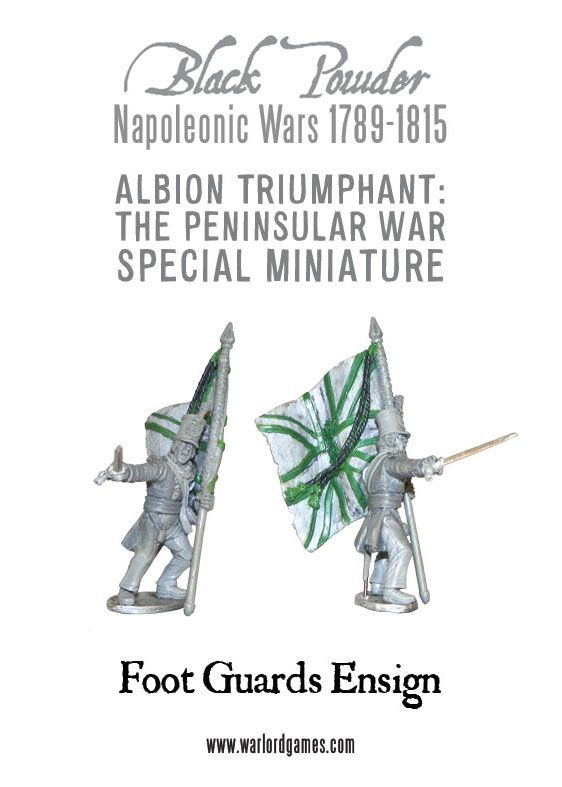 However, having just pre-ordered a copy of the new Albion Triumphant supplement for Warlord Games’ Black Powder rules, that may hopefully change. Well, I hope so, anyway. 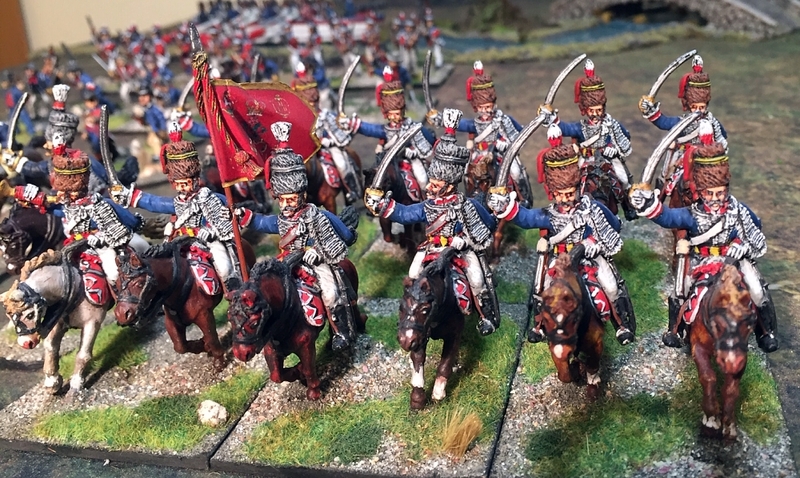 I must say I generally find Napoleonic gaming very fiddly compared to earlier horse-and-musket gaming, what with having to worry about skirmishers, more formation variants, etc. So we’ll see! 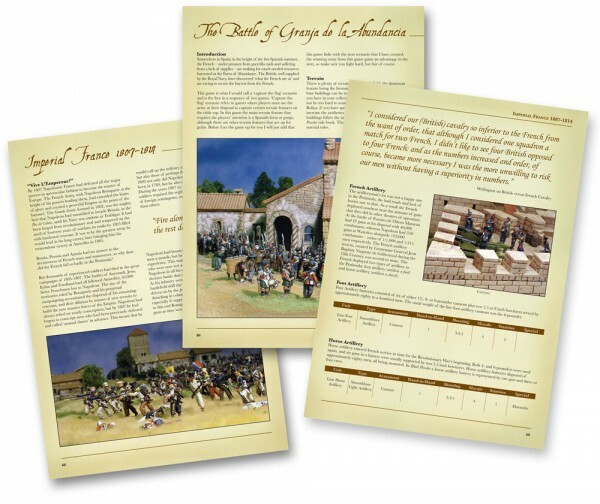 The Albion Triumphant supplement covers the Flanders and Peninsular campaigns in the Napoleonic Wars (the vast bulk of the book focusing on the conflict in the Iberian Peninsula). Some people on TMP have questioned the pro-British stance of the title. 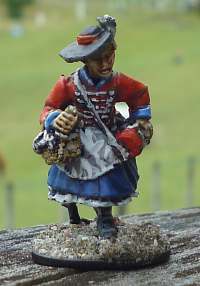 But I think Black Powder is known for its whimsical and tongue-in-cheek “Haw! Haw! ‘pon my whiskers, tally ho and all that” old-fashioned British gentlemen’s club writing style. 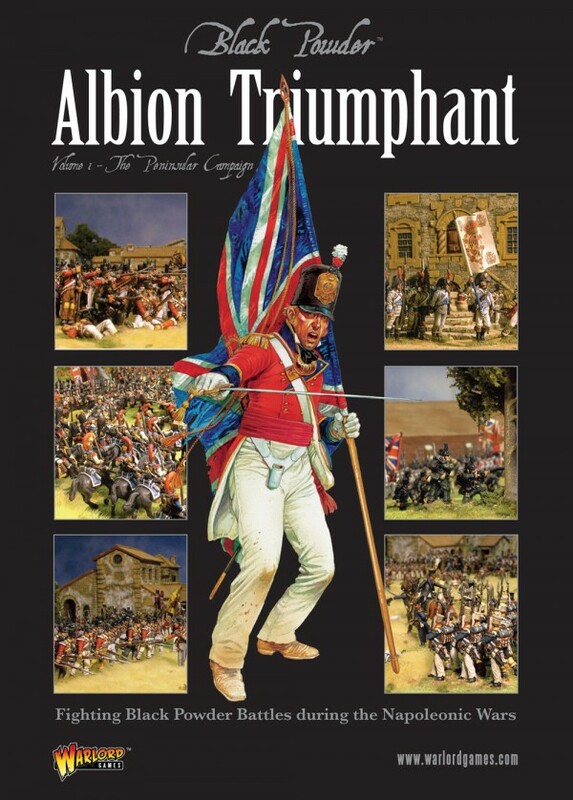 So in my view, this supplement’s title Albion Triumphant fits that style perfectly. 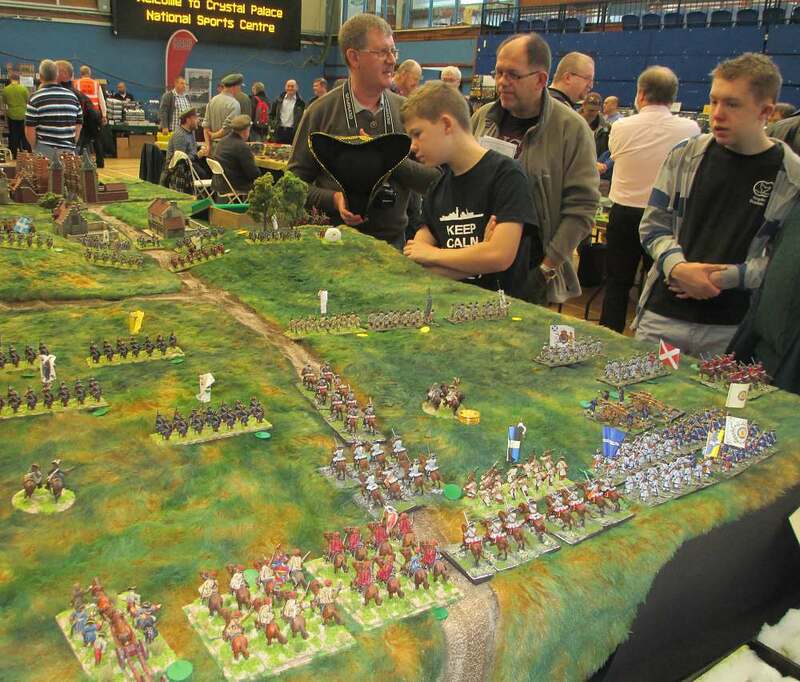 The free figure that comes with the rules will immediately jump to the front of the queue. 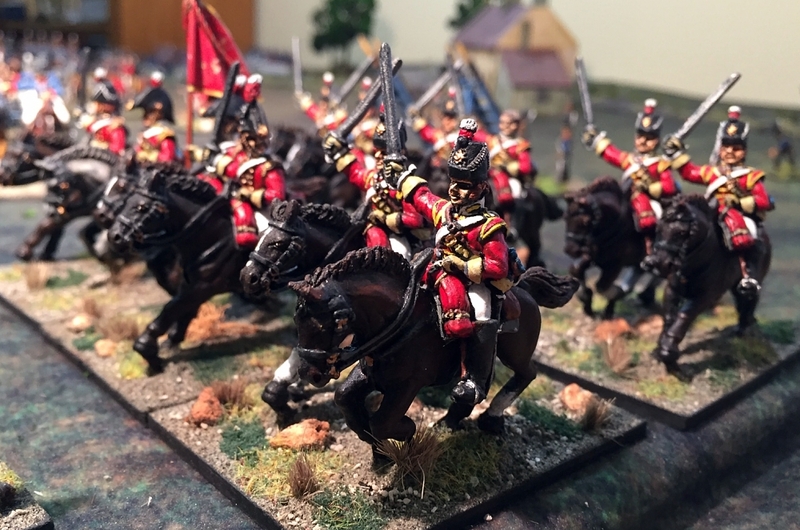 I don’t actually have any Foot Guards in my army. But who cares? This is going to be such a nice figure as a one-figure diorama to dress the table. And besides Albion Triumphant, he’ll also do nicely as a ‘Big Man’ for the Too Fat Lardies’ Sharp Practice large skirmish rules. I’ve noticed for a while now that when I photograph my figures, they look terrible. The detail looks like it was painted on by a real ham-fist, the shading is blotchy, and the overall job looks messy. This despite my being very happy with the actual figures in real life. To the naked eye they look more than adequate. But photograph them, and they look terrible. 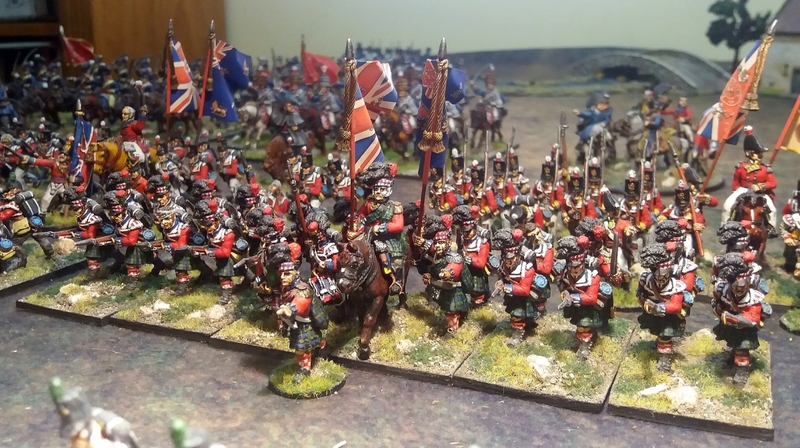 I’d like to blame my camera, but I strongly suspect it is more to do with my increasingly impressionistic way of painting. I do find it harder these days to see the detail as I’m painting. 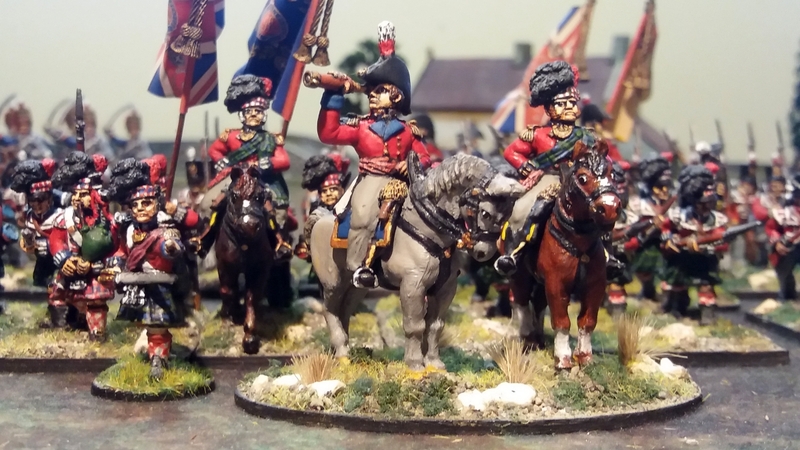 While I’ve never been as clean and crisp a painter as many of those featured on websites such as the Steve Dean forum, I’m sure in the past my figures didn’t come out as bad in photographs. 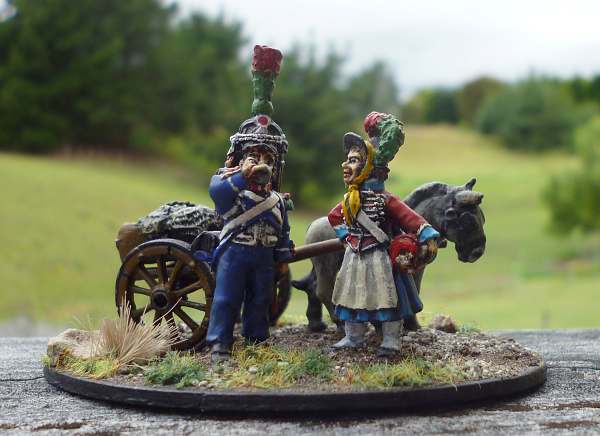 A case in point is my latest work – a Warlord Games 28mm French vivandiere for my Sharp Practice gaming. 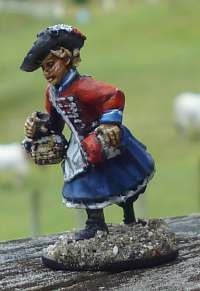 Now compare her with a similar Foundry figure I painted several years ago. Still not a painting competition winner, but definitely much tidier than my latest work. One thing I have noticed is that my shading of the apron on my latest figure is a total disaster, so I’ll do that again. I’ll also try to deliniate the frogging on the tunic a bit more (even though it looks fine to the naked eye). I noticed the same decrease in painting quality in the picture of my latest naval officer and an older marine officer in my posting the other day.